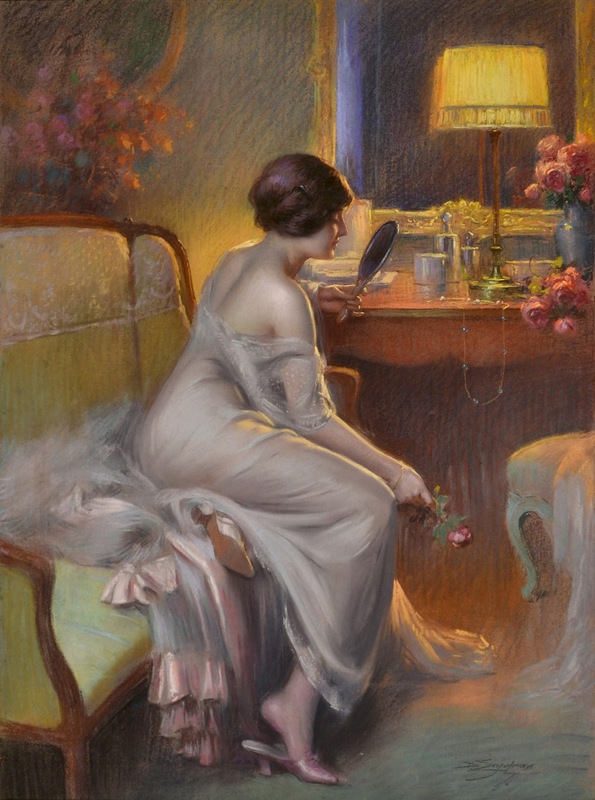 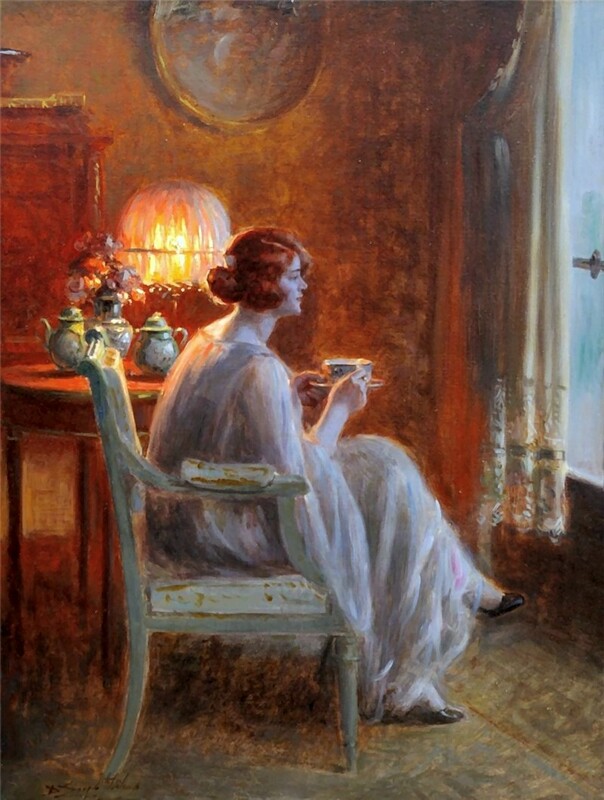 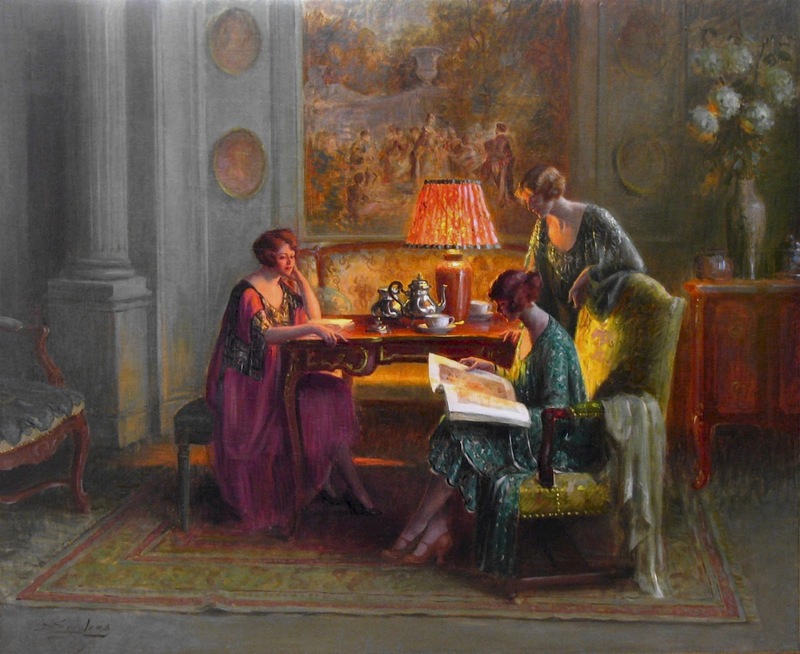 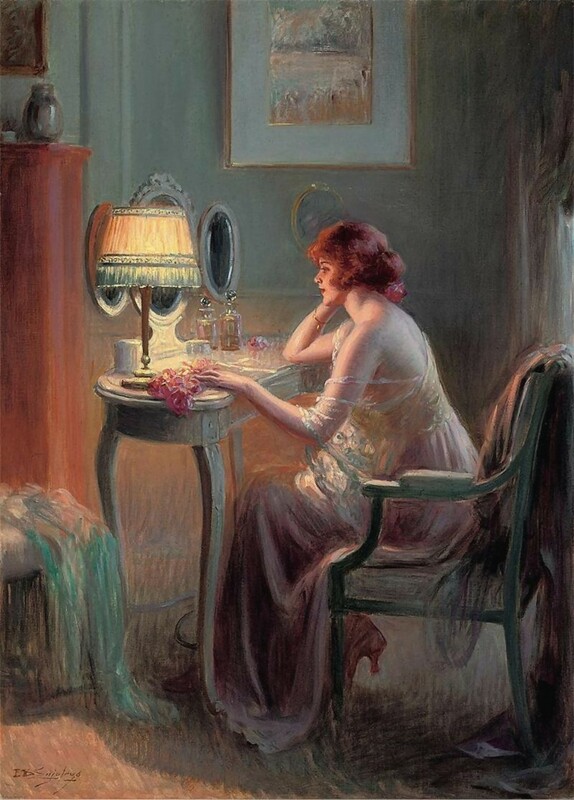 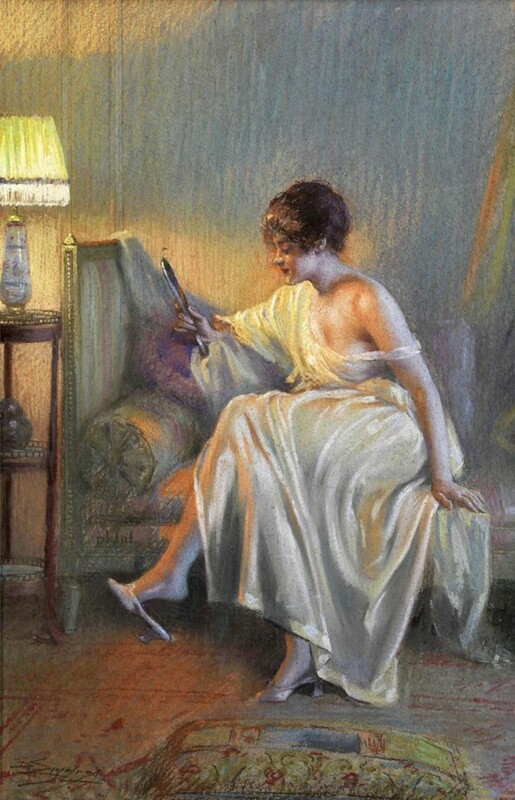 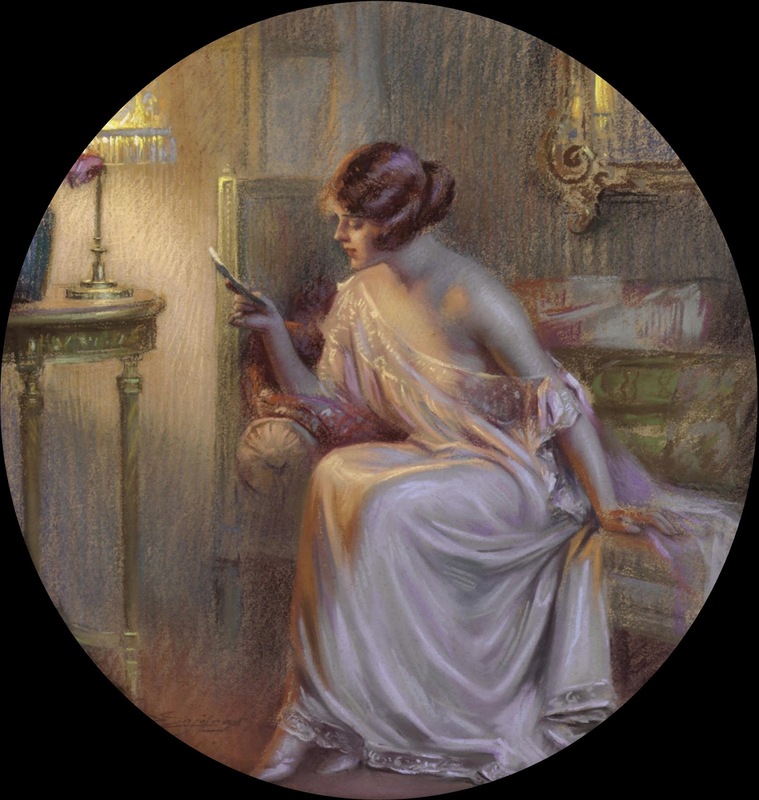 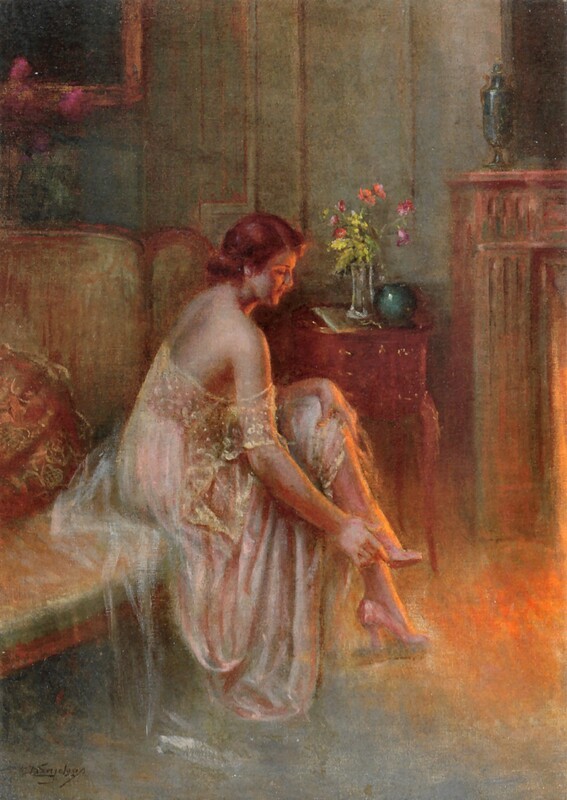 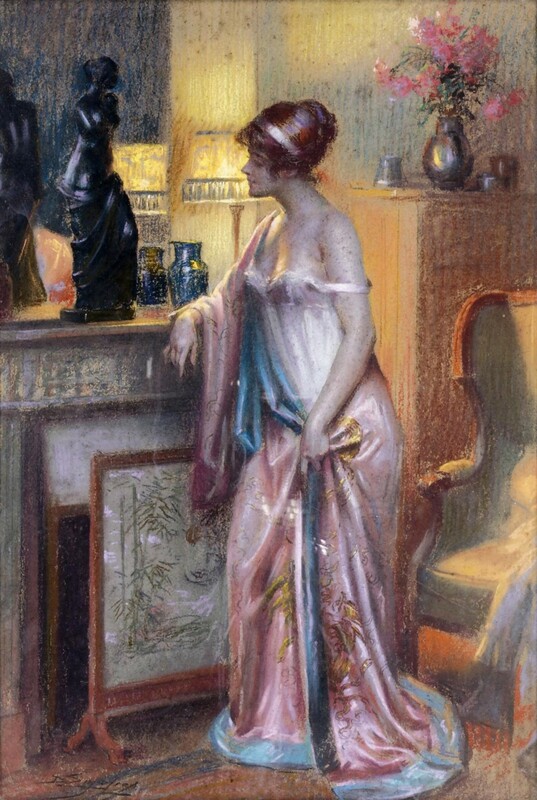 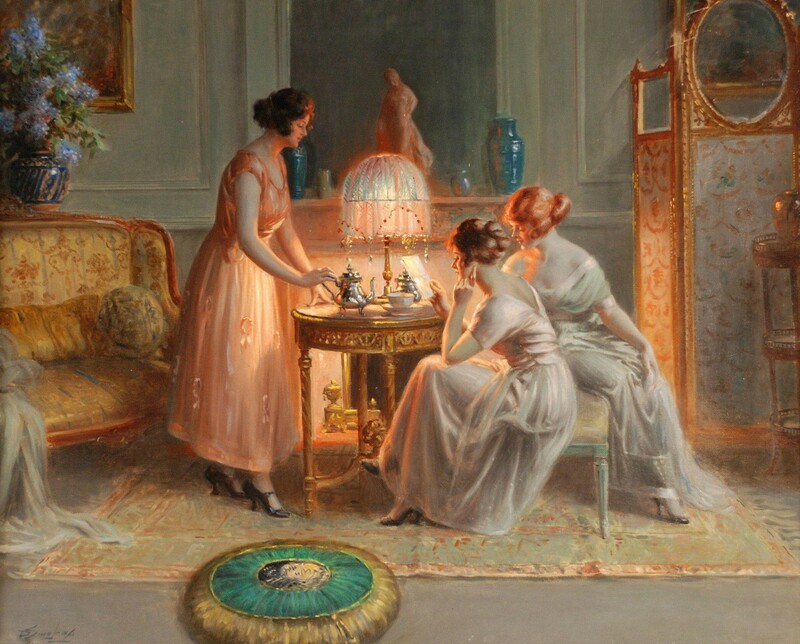 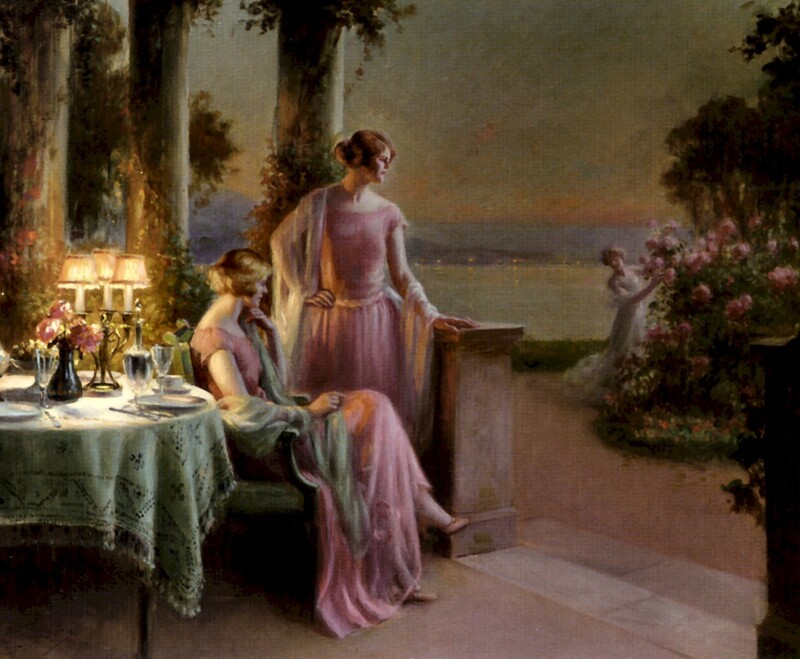 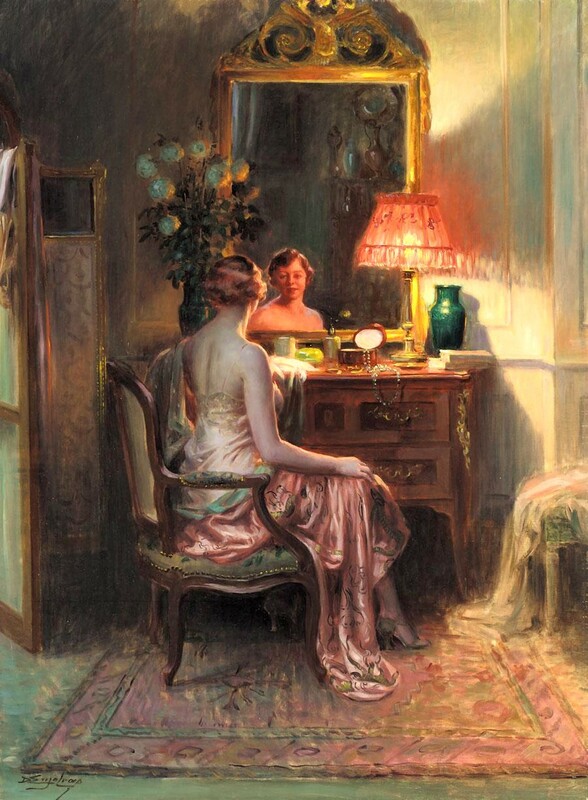 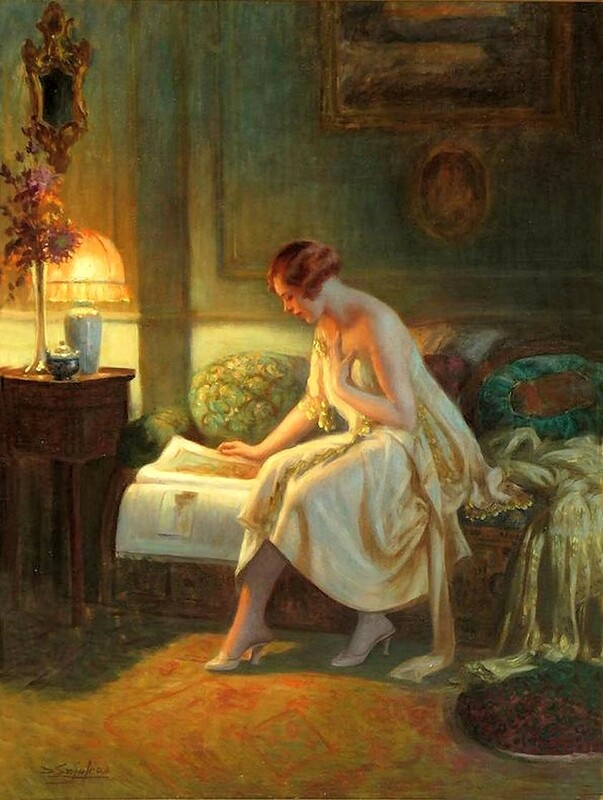 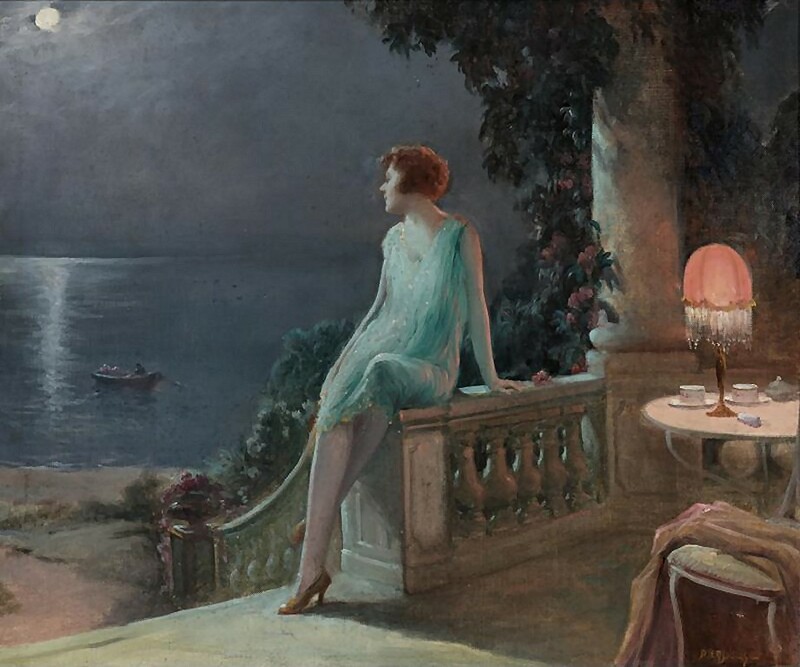 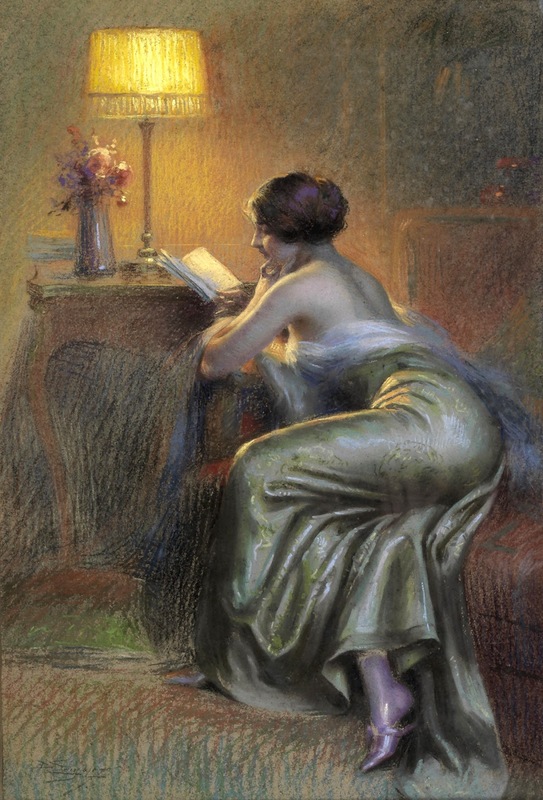 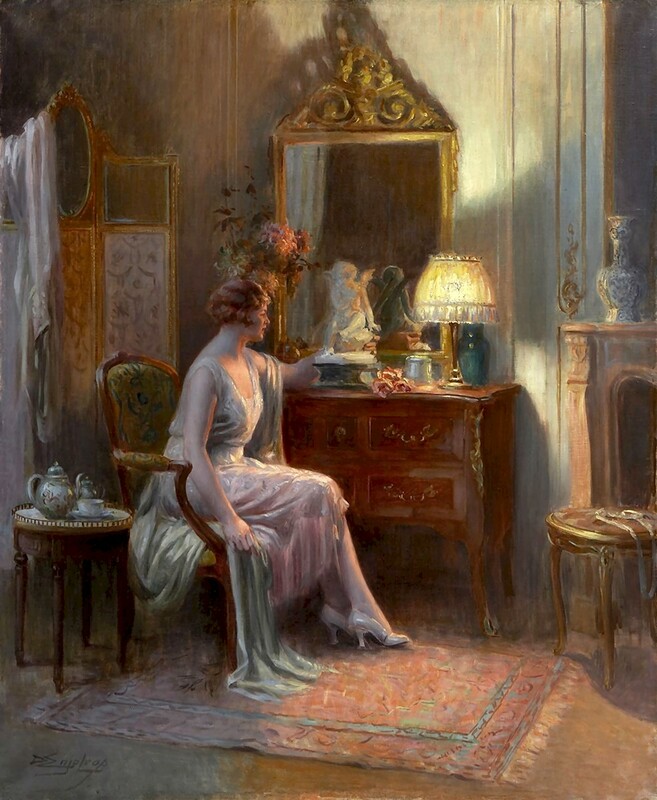 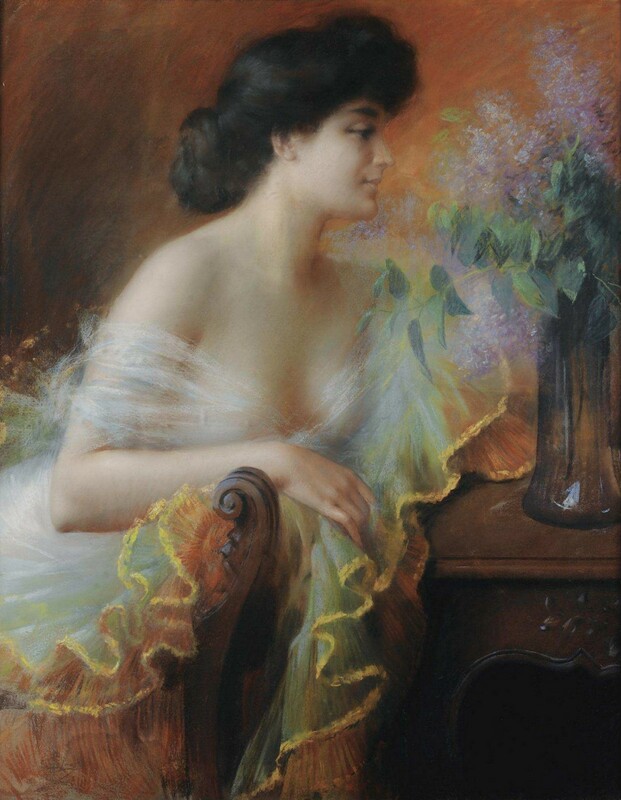 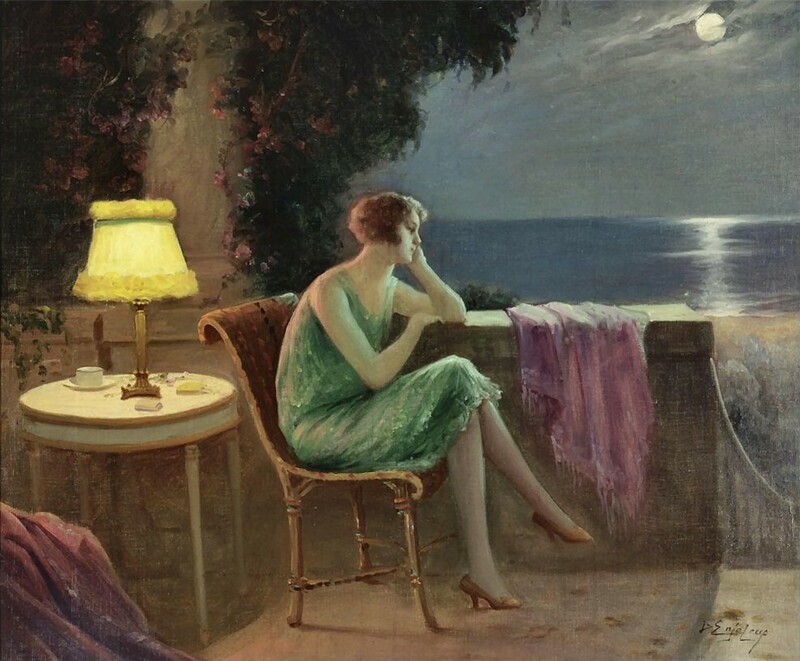 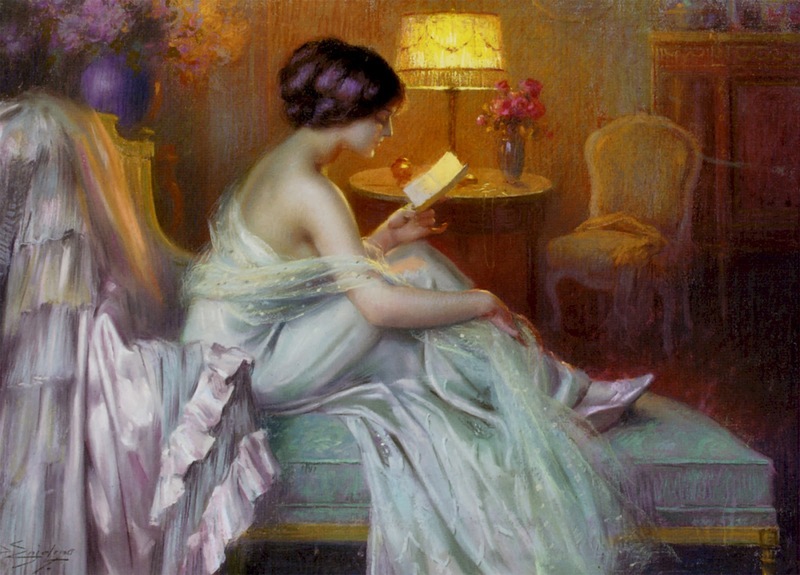 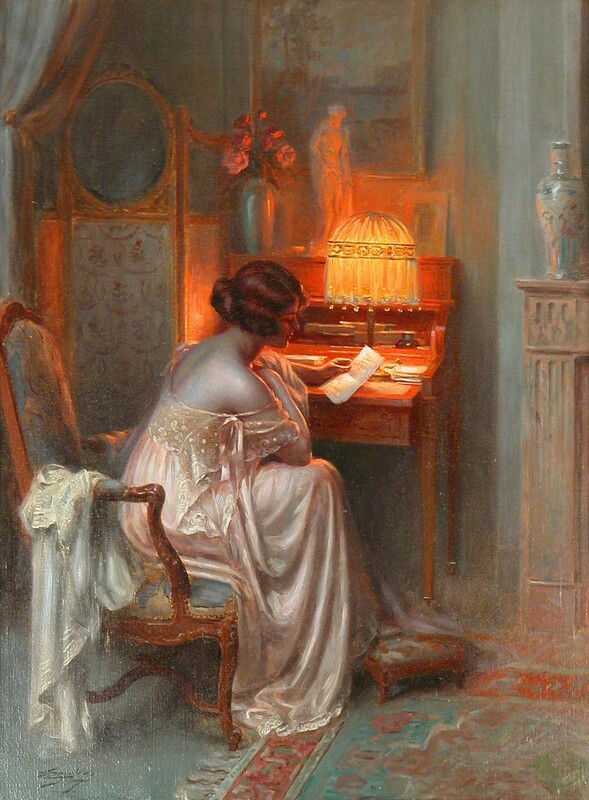 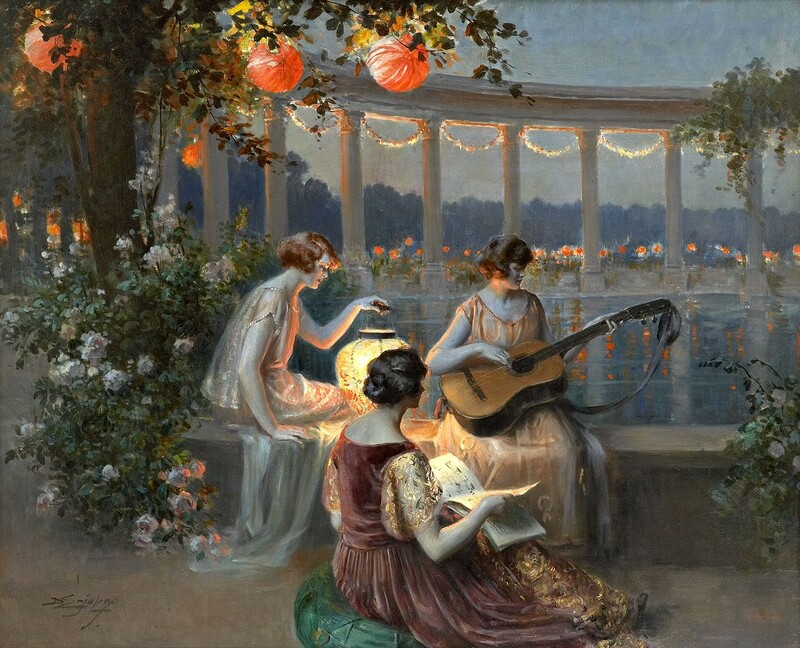 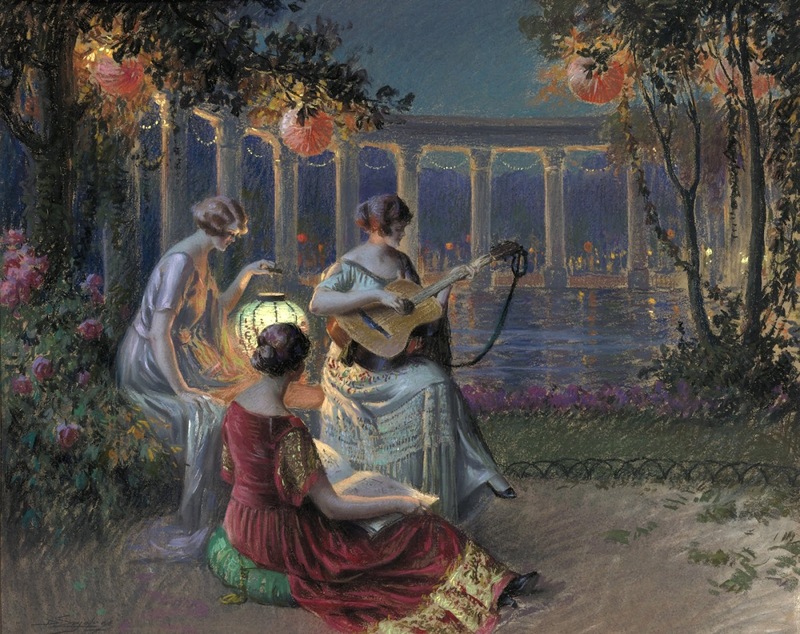 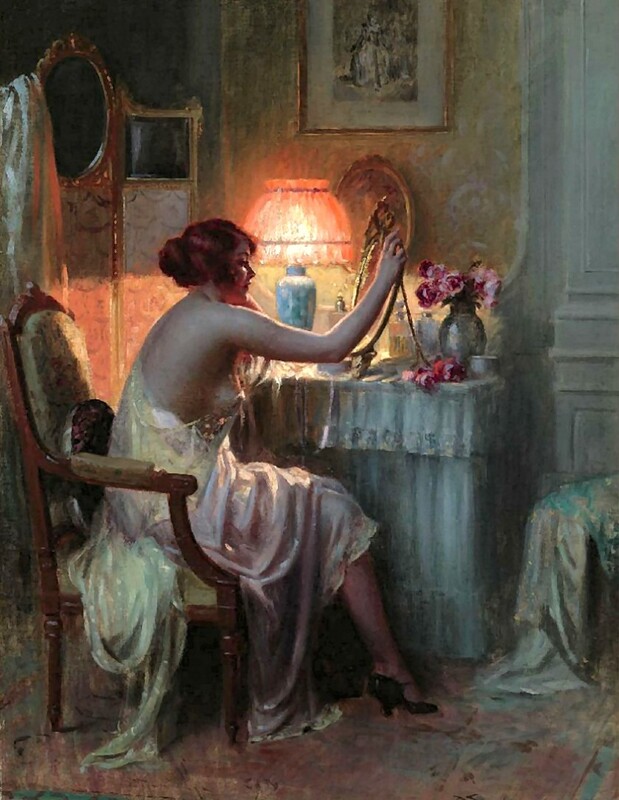 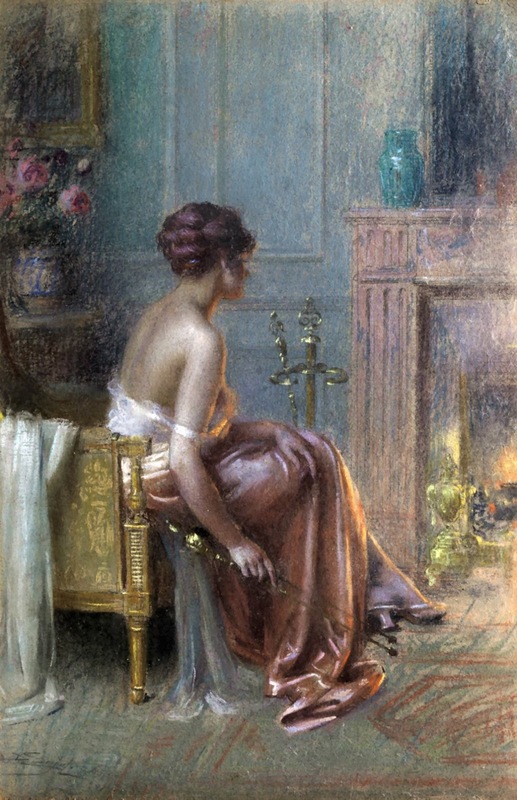 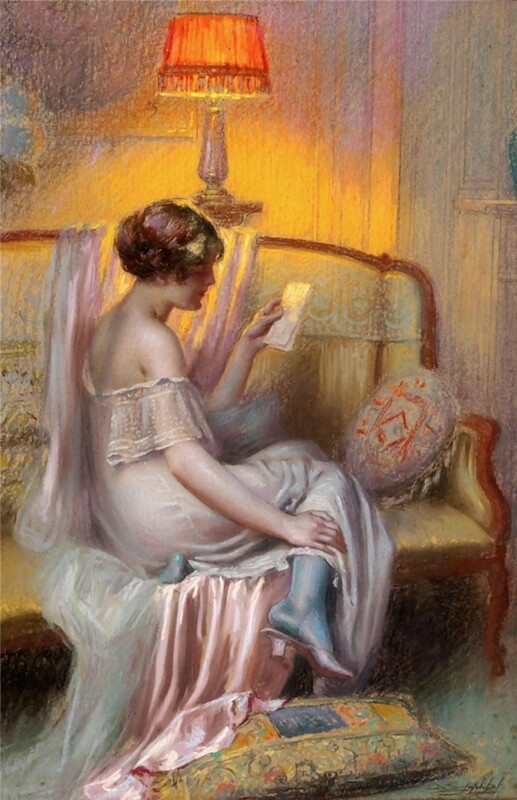 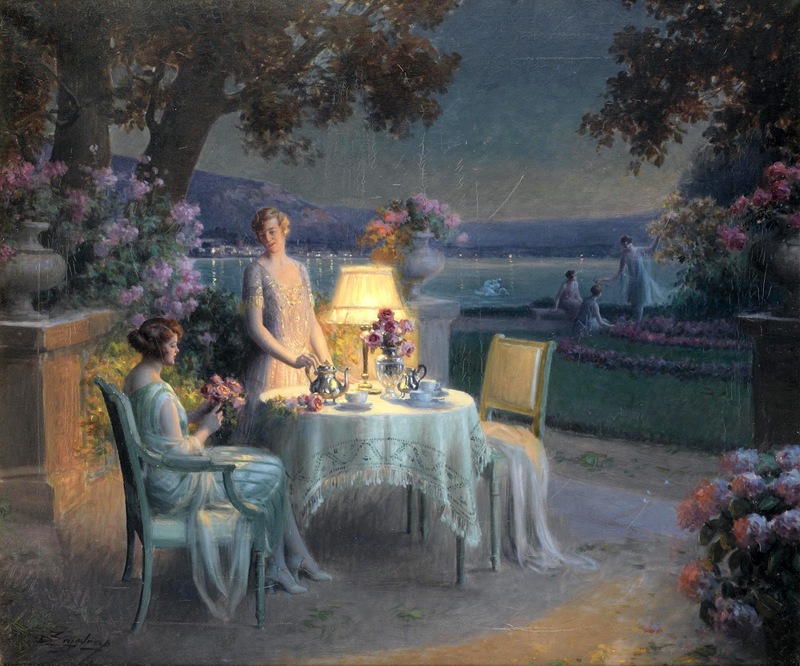 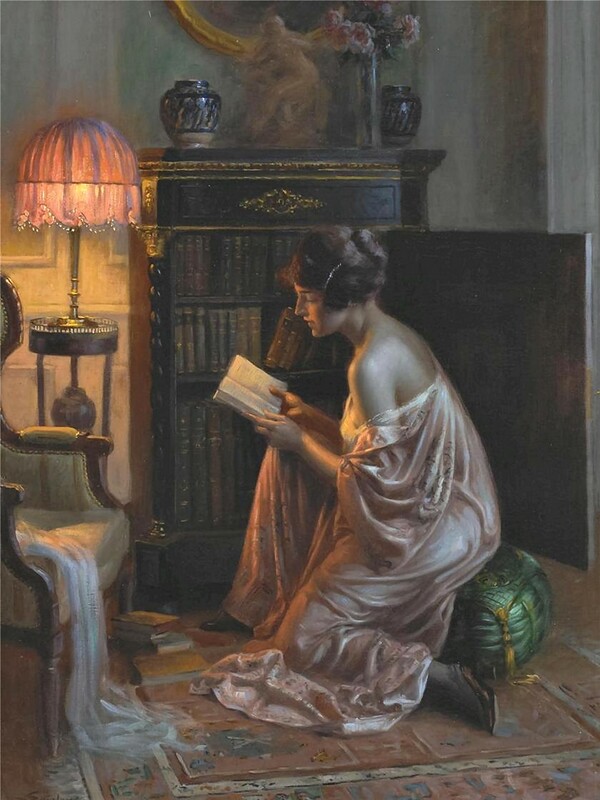 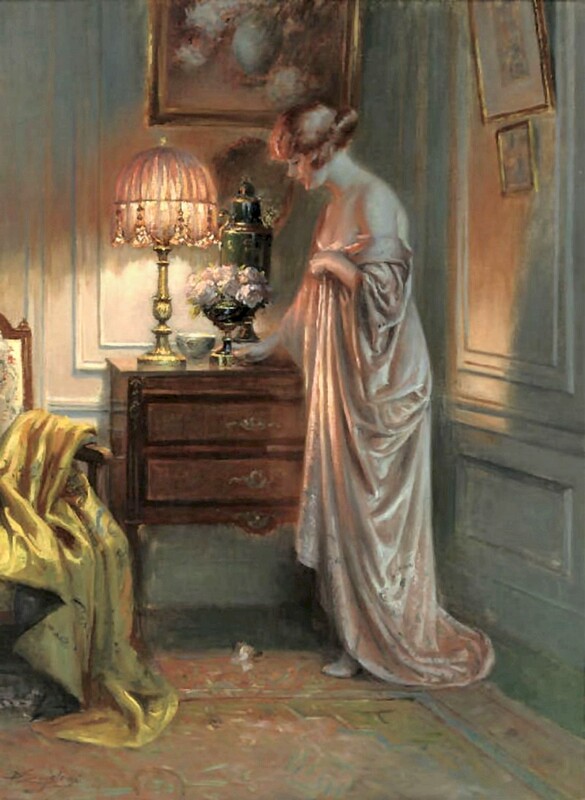 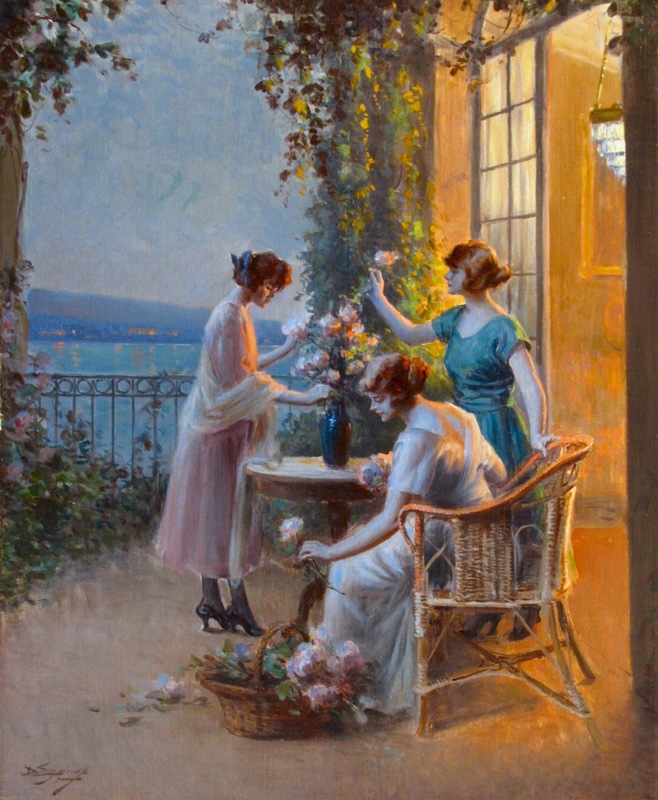 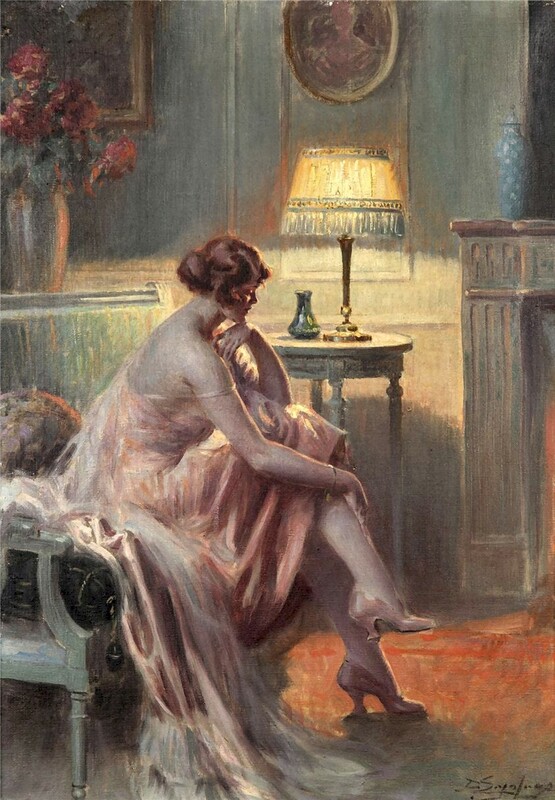 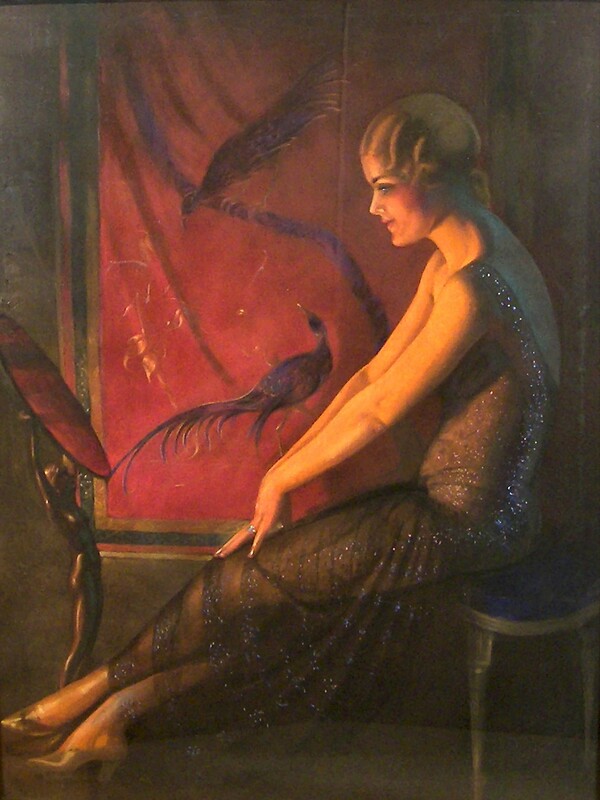 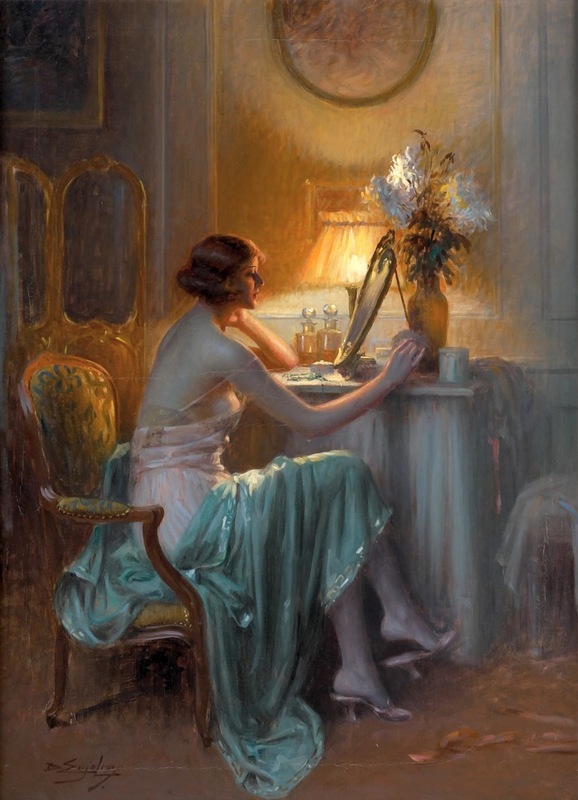 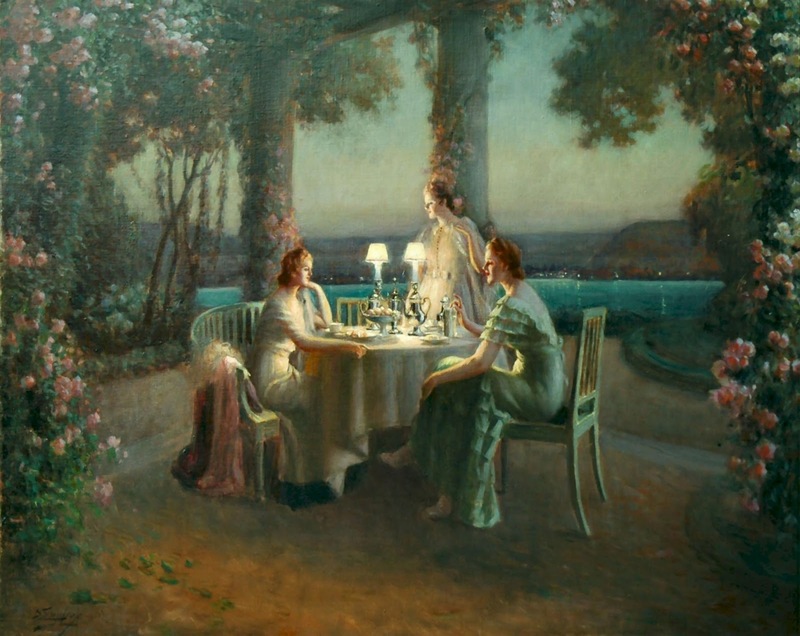 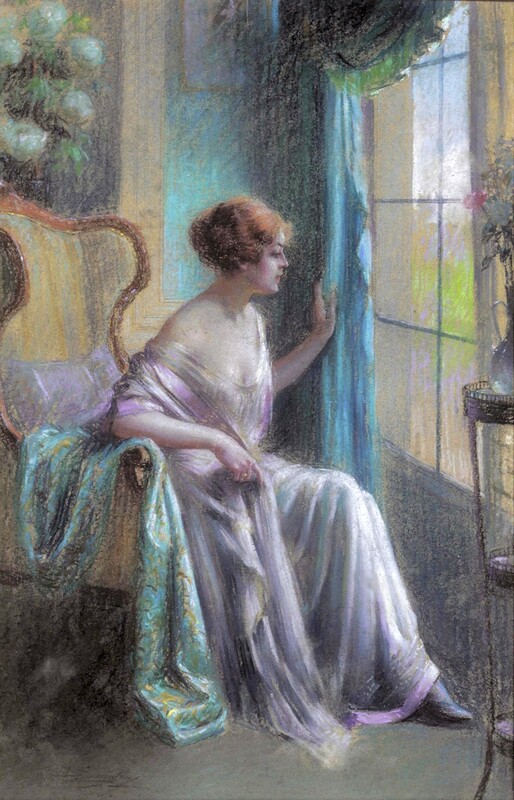 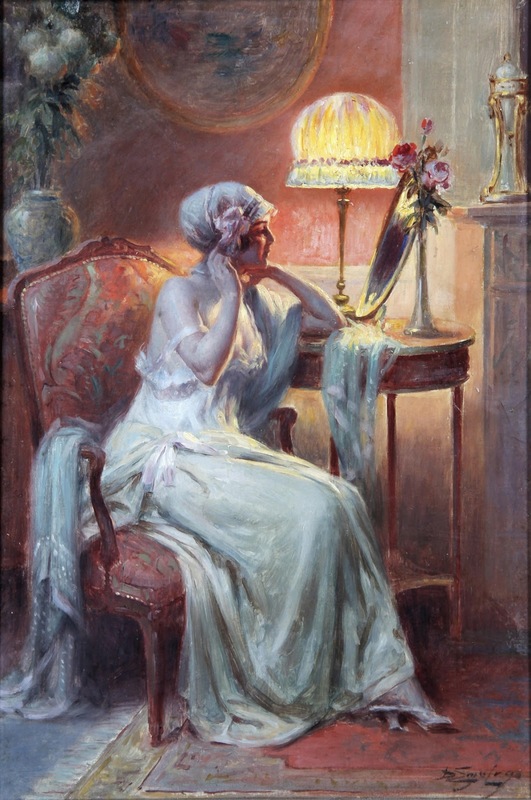 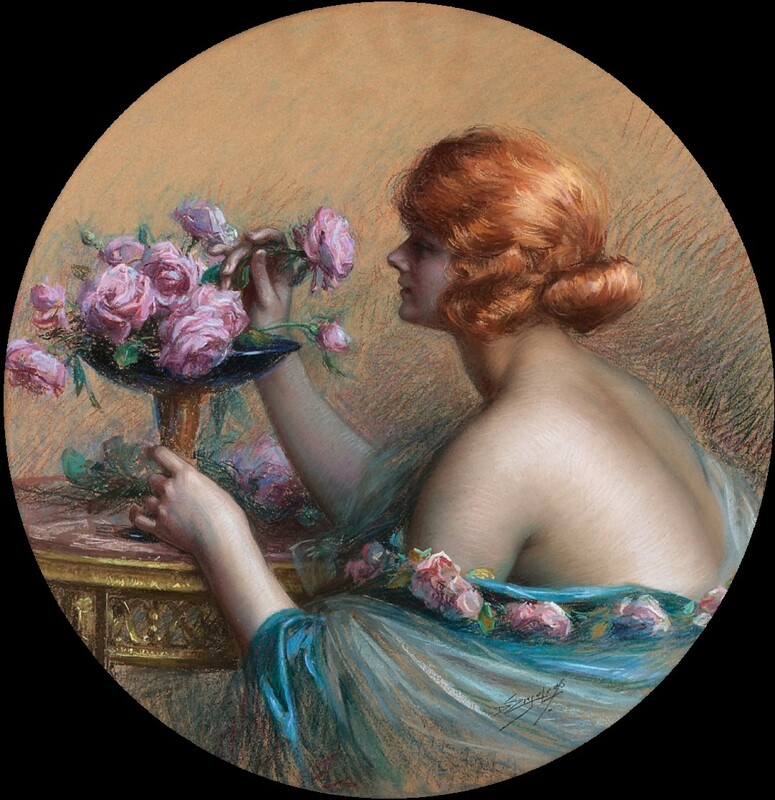 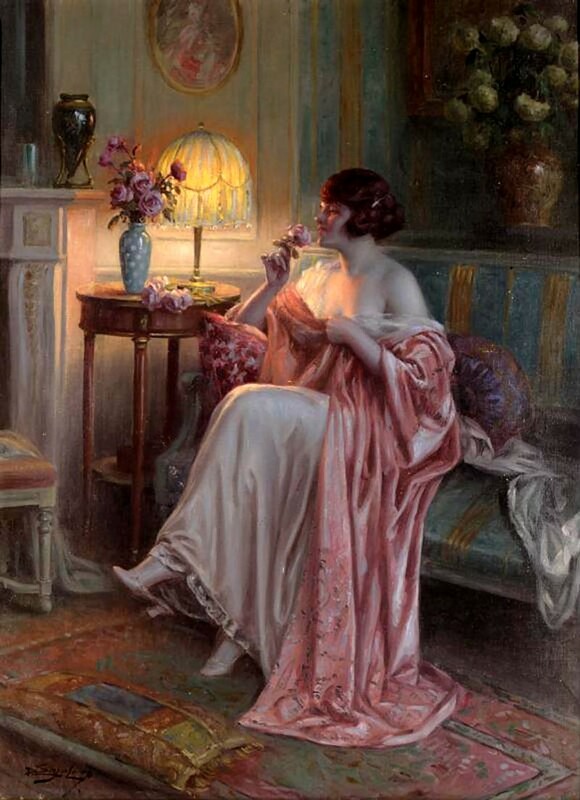 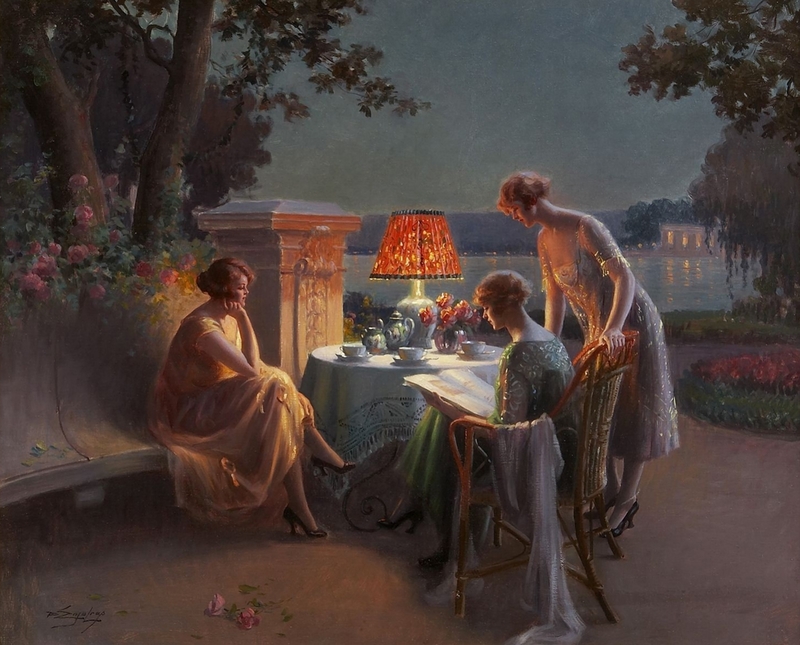 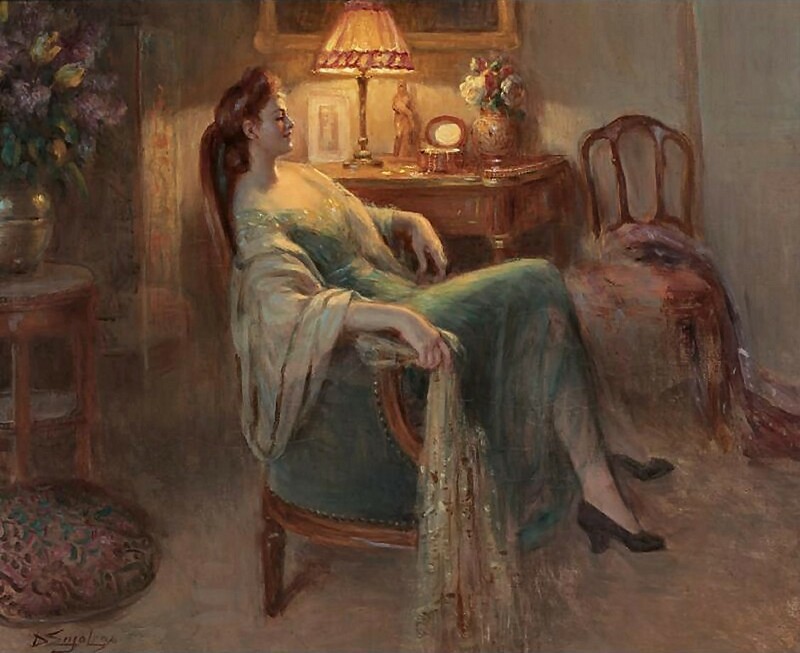 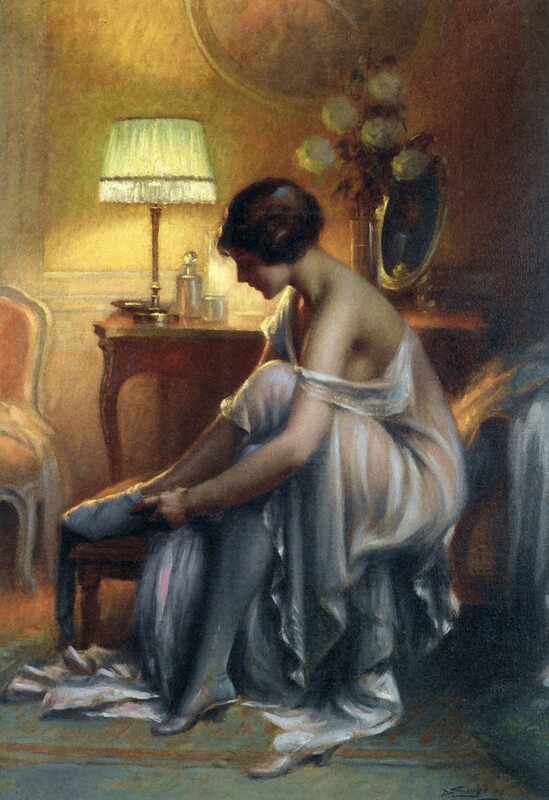 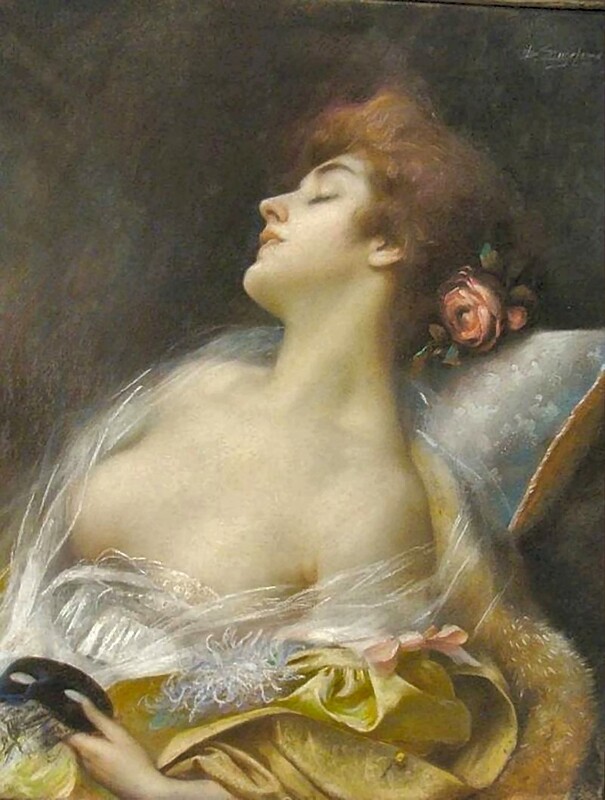 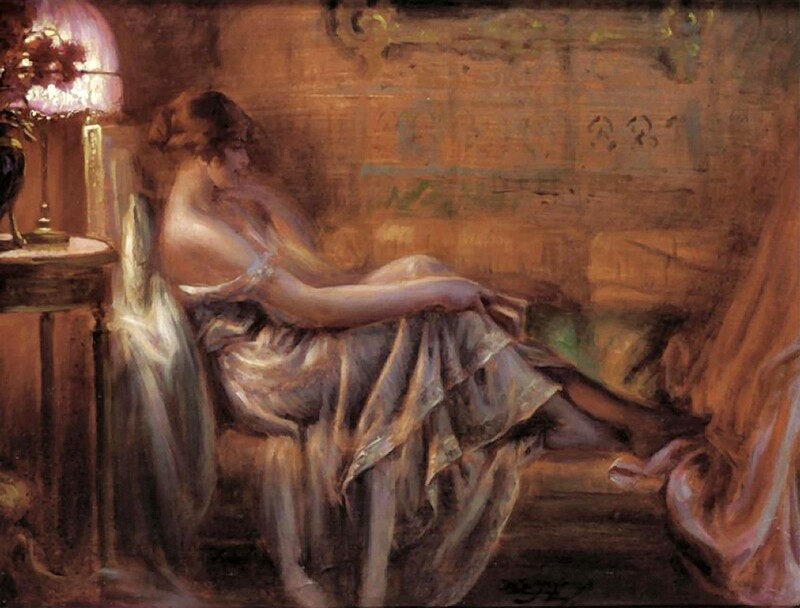 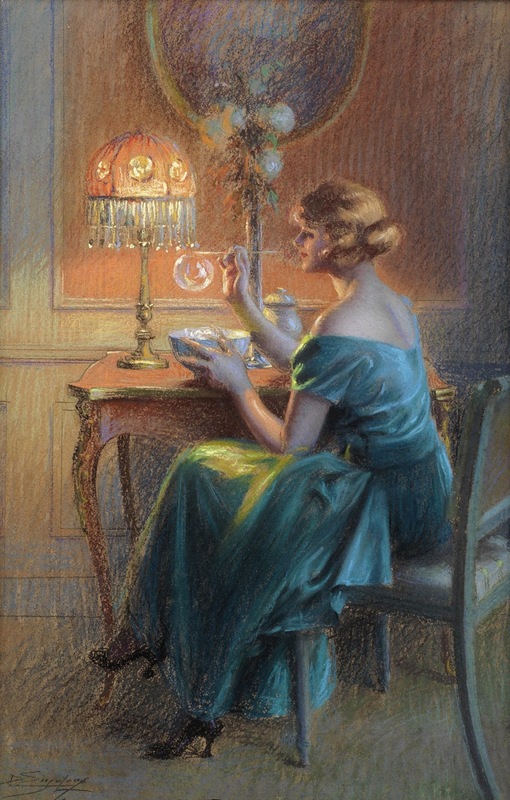 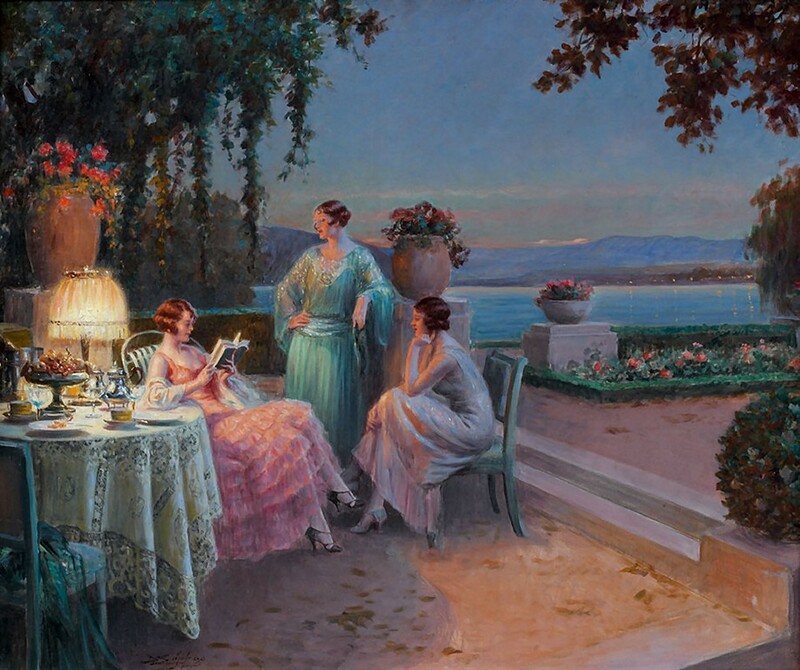 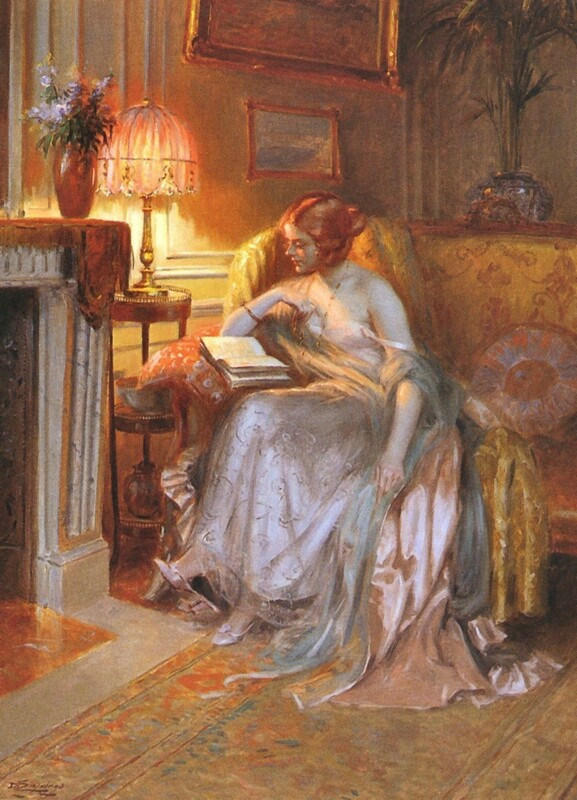 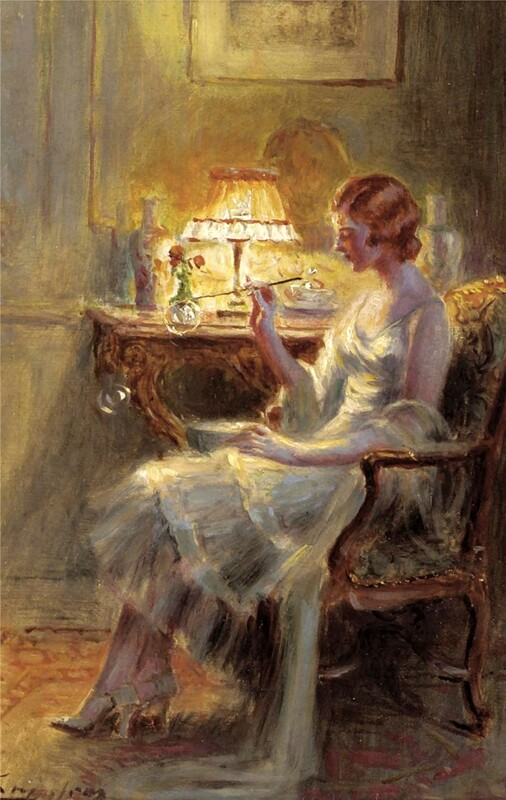 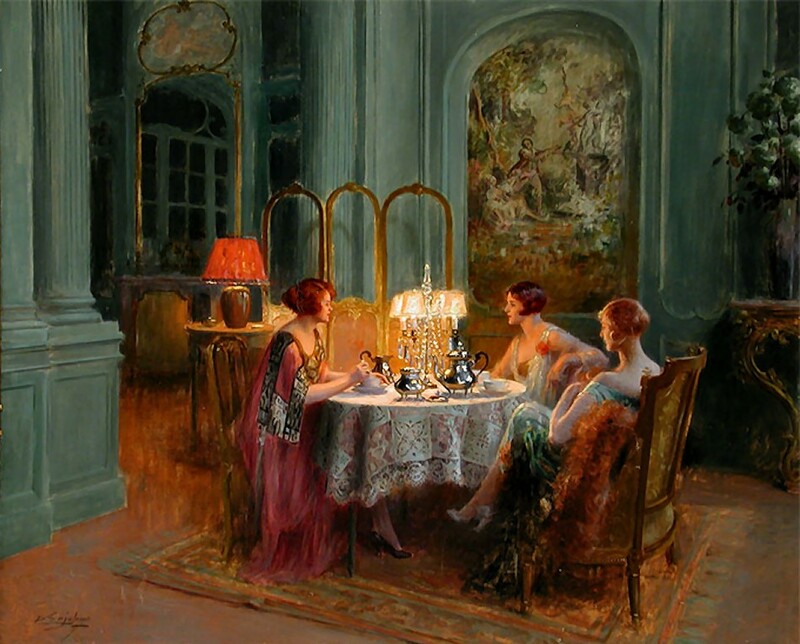 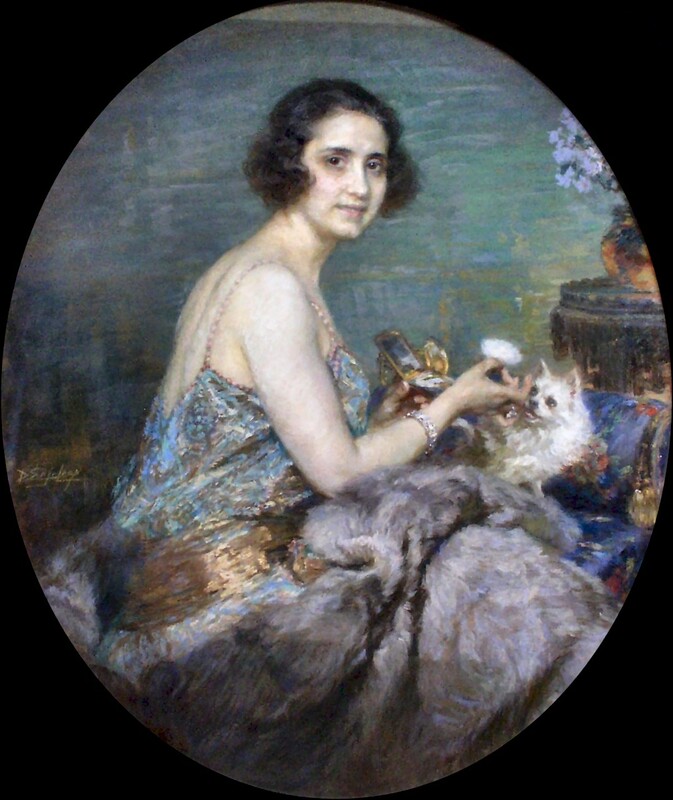 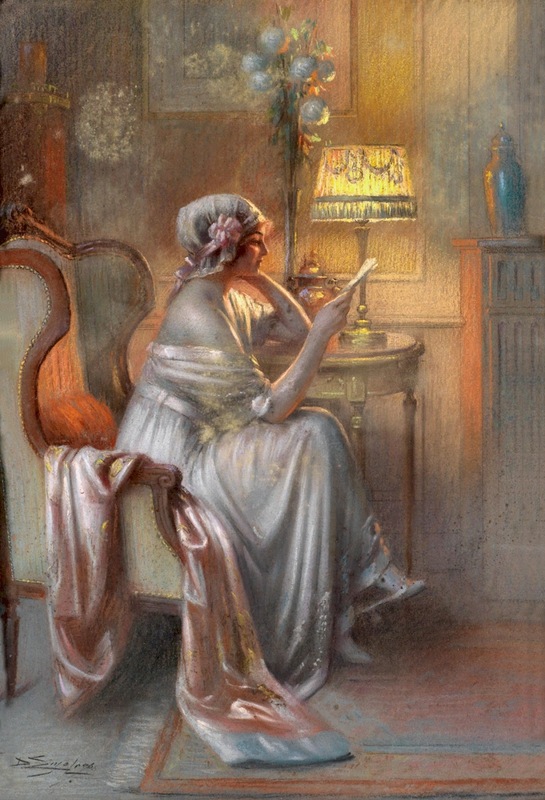 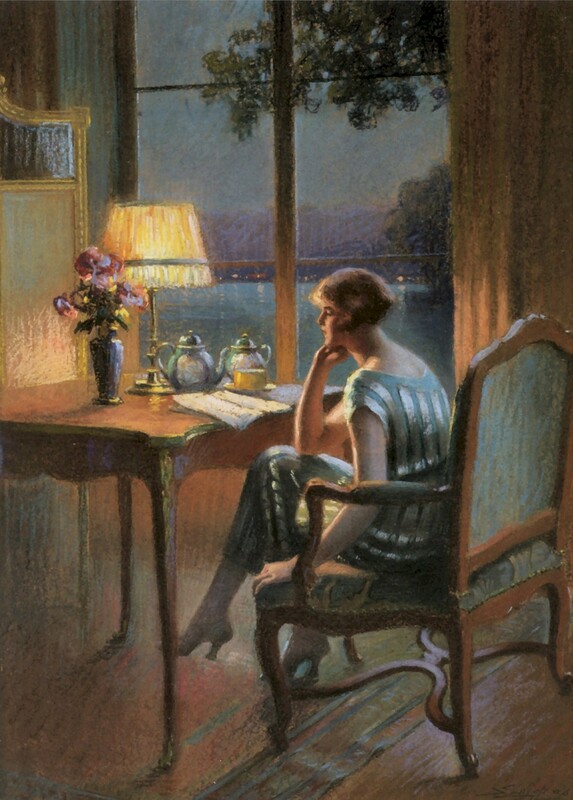 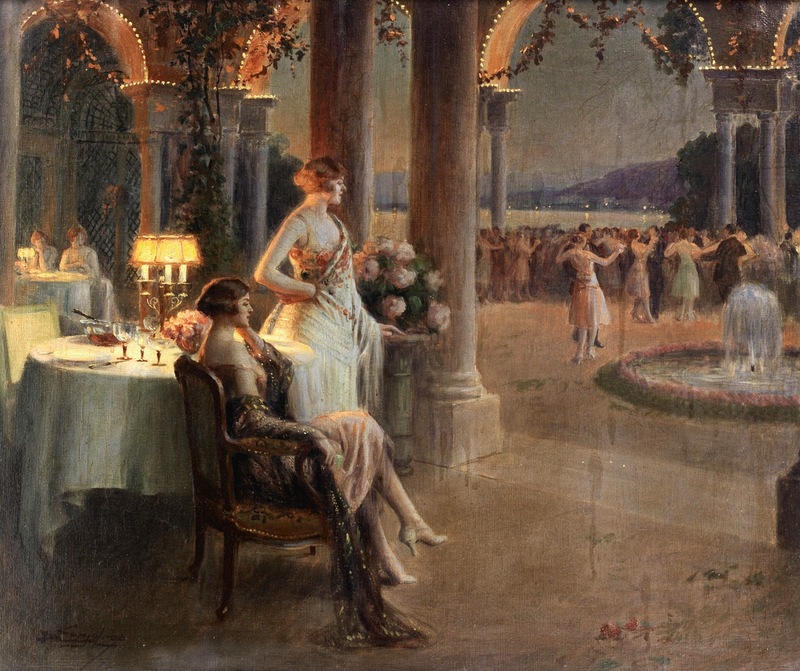 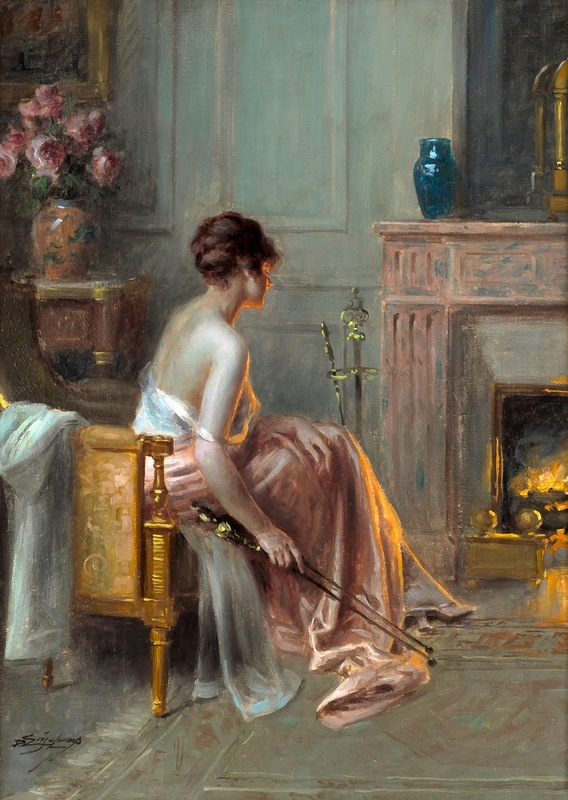 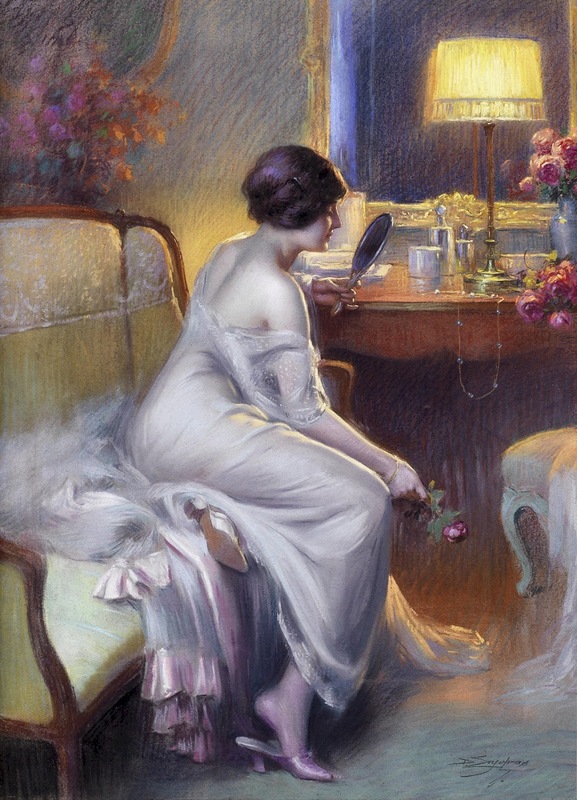 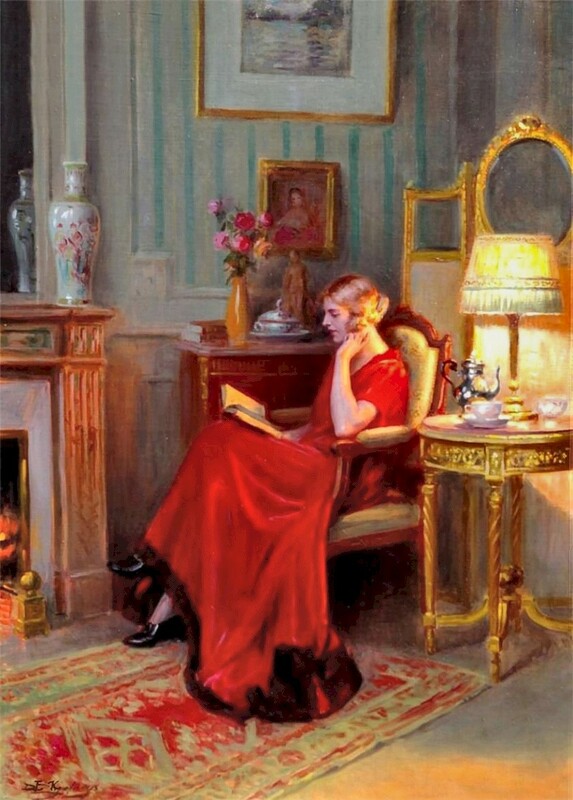 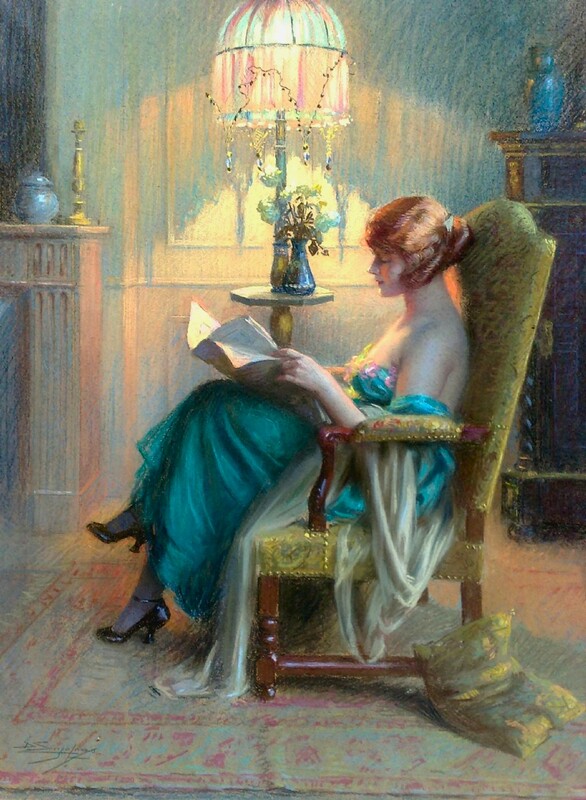 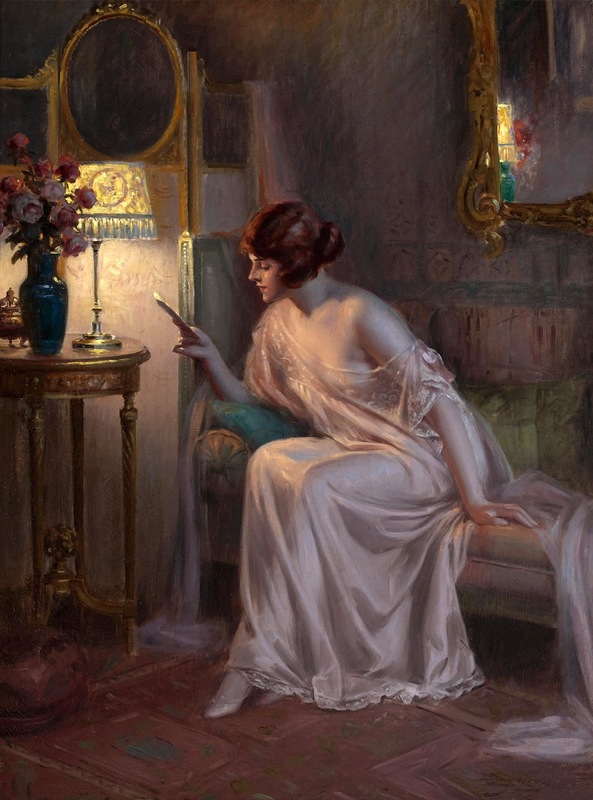 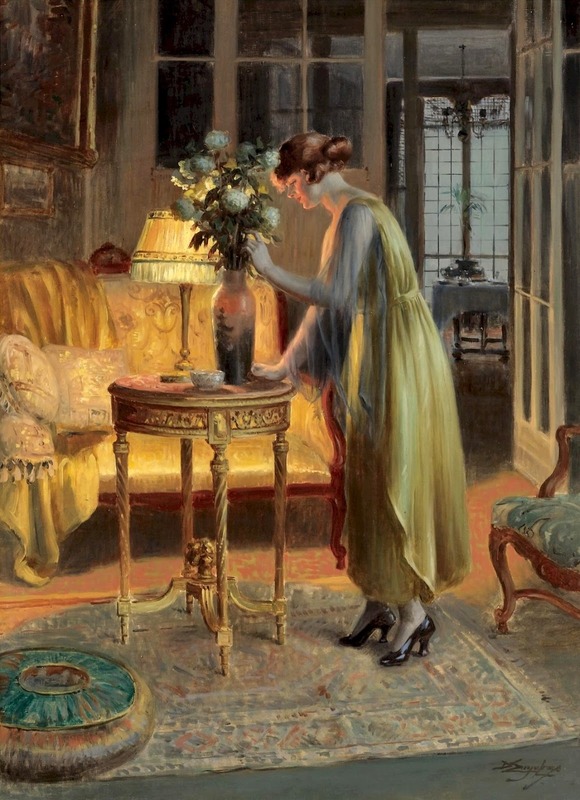 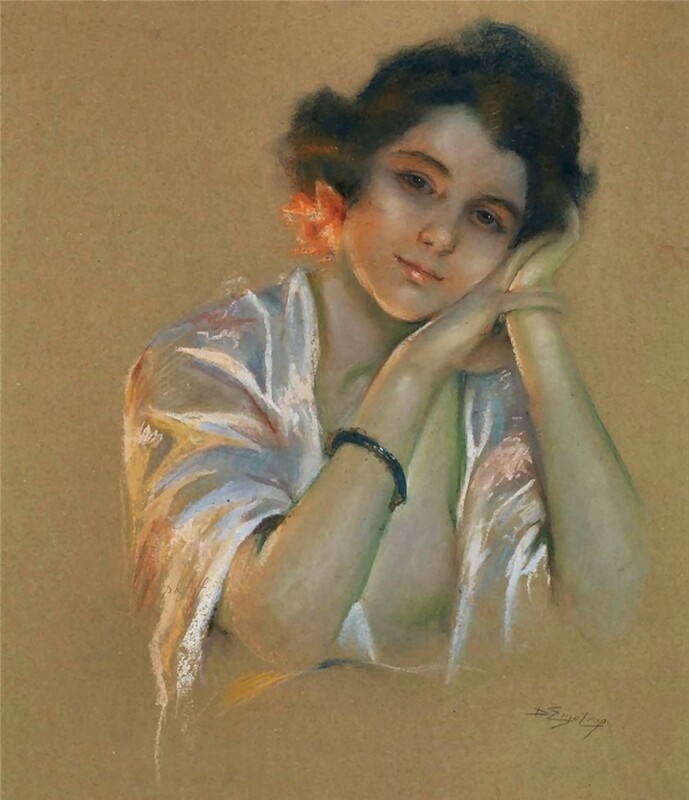 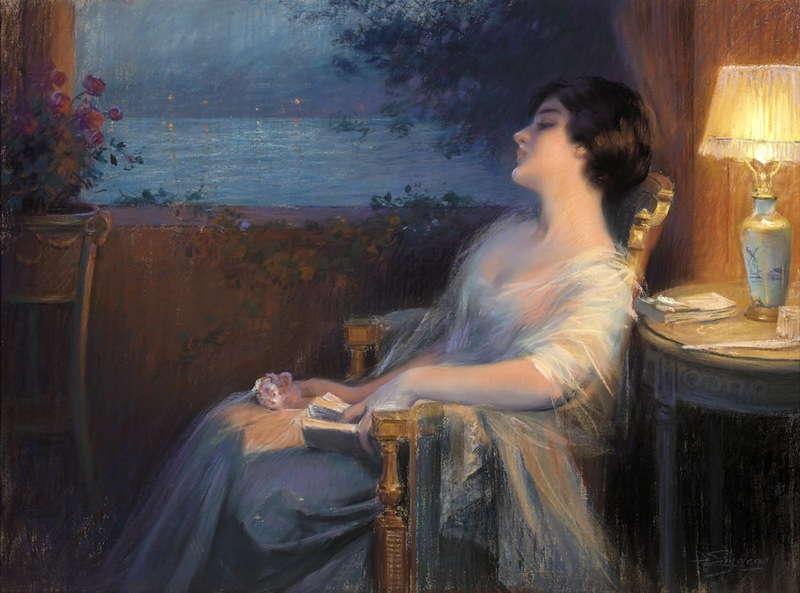 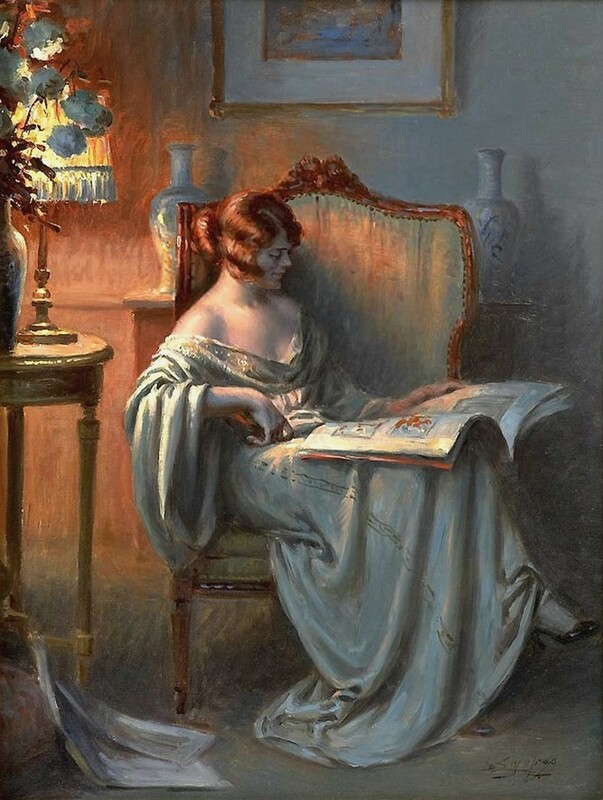 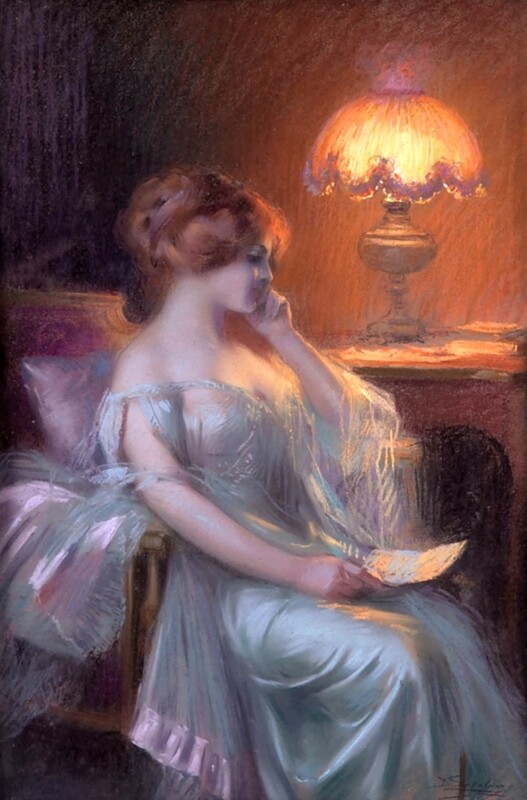 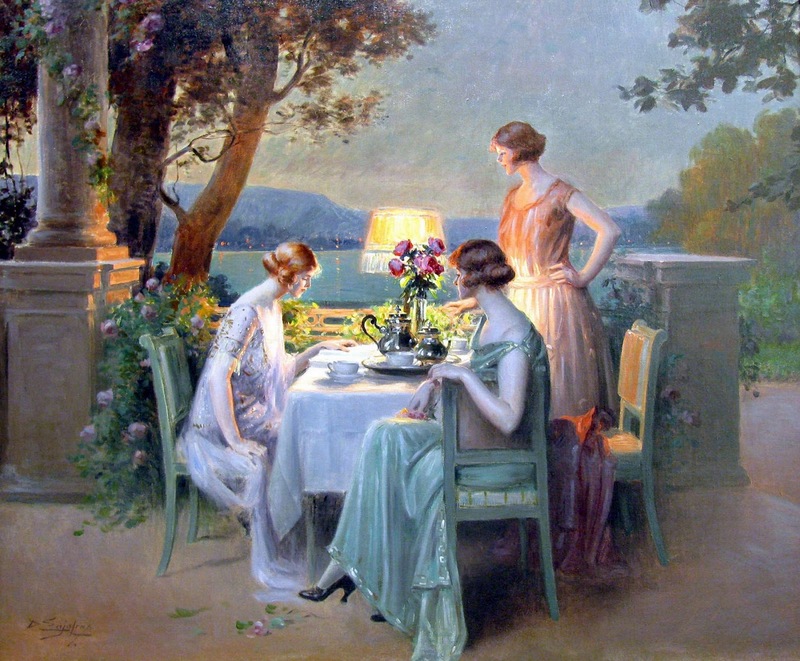 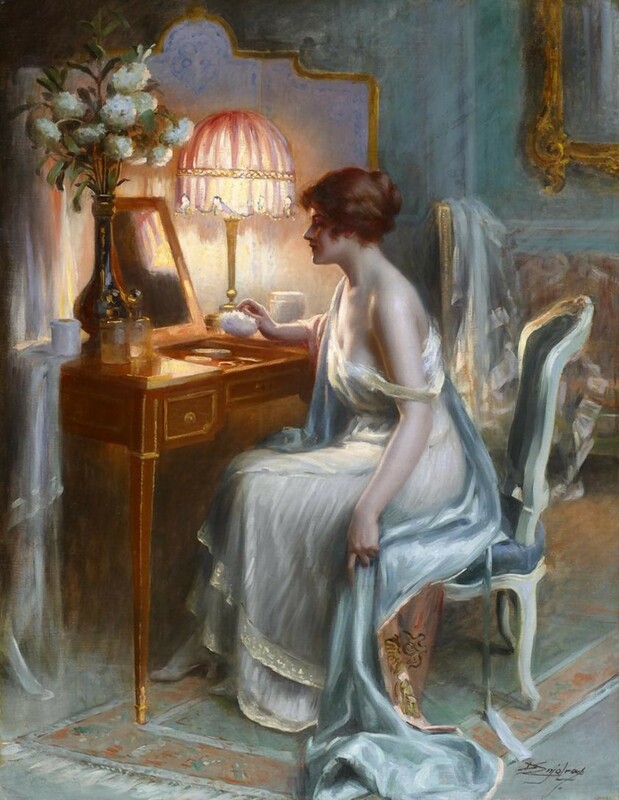 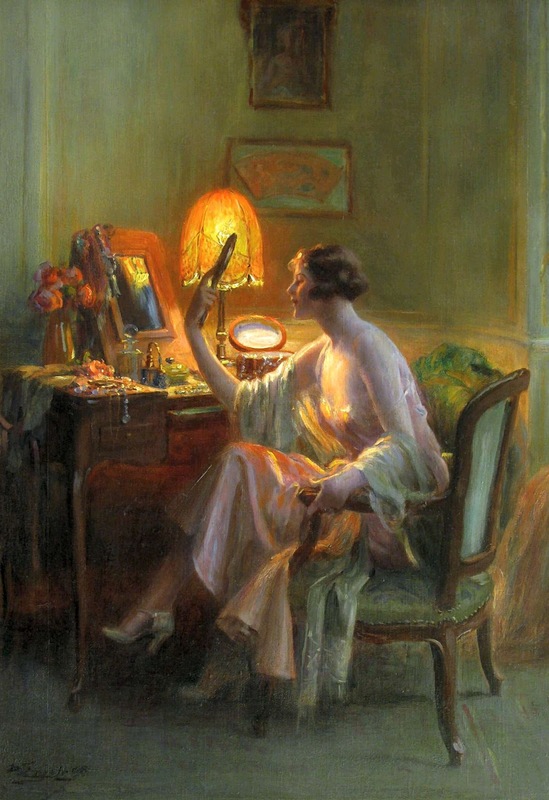 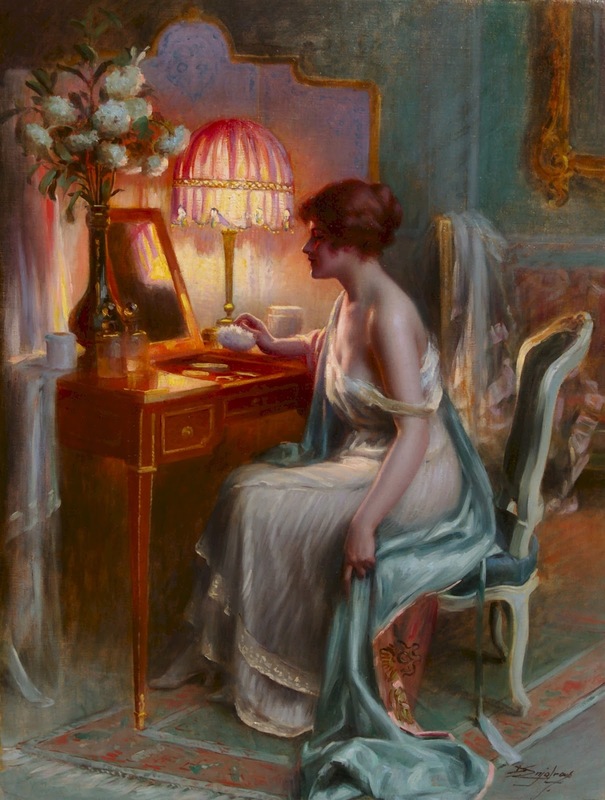 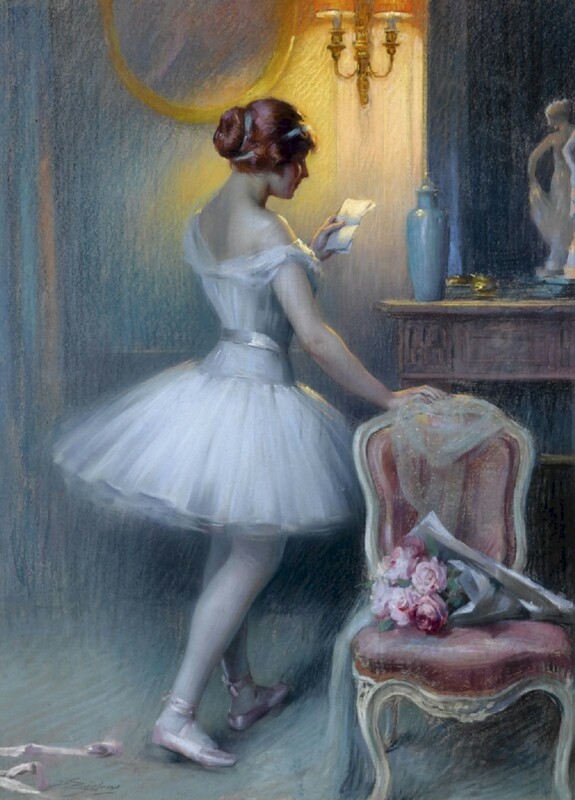 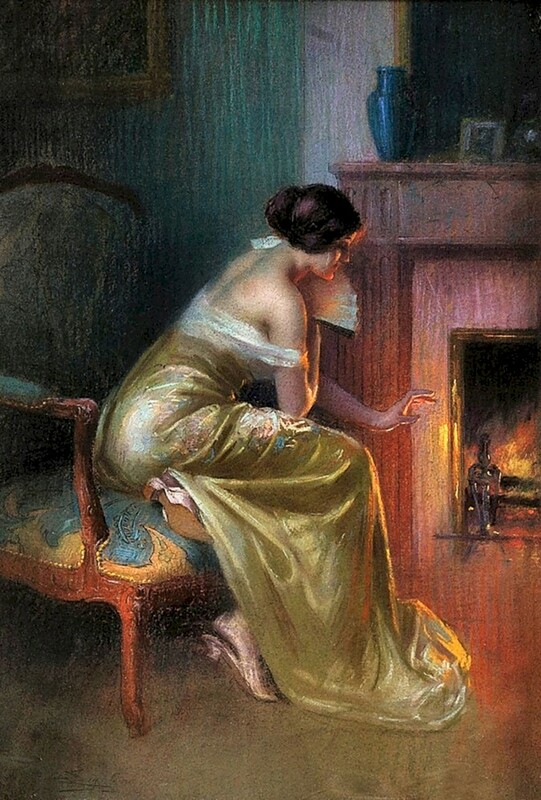 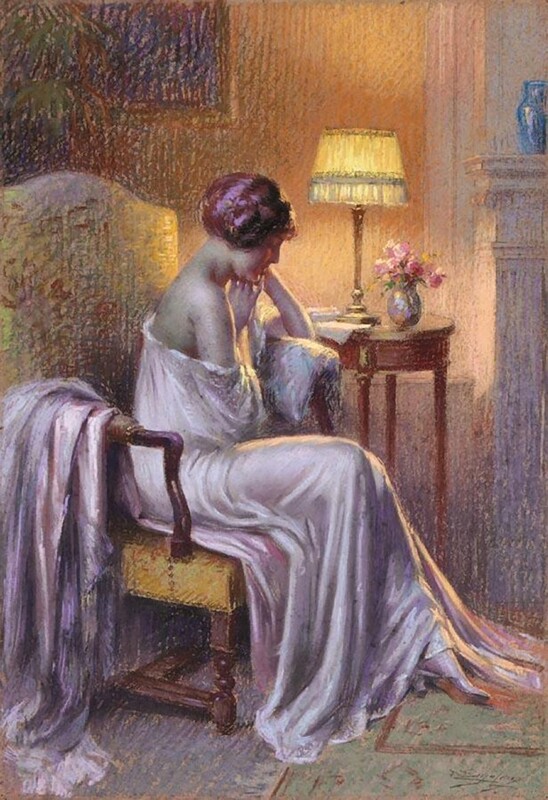 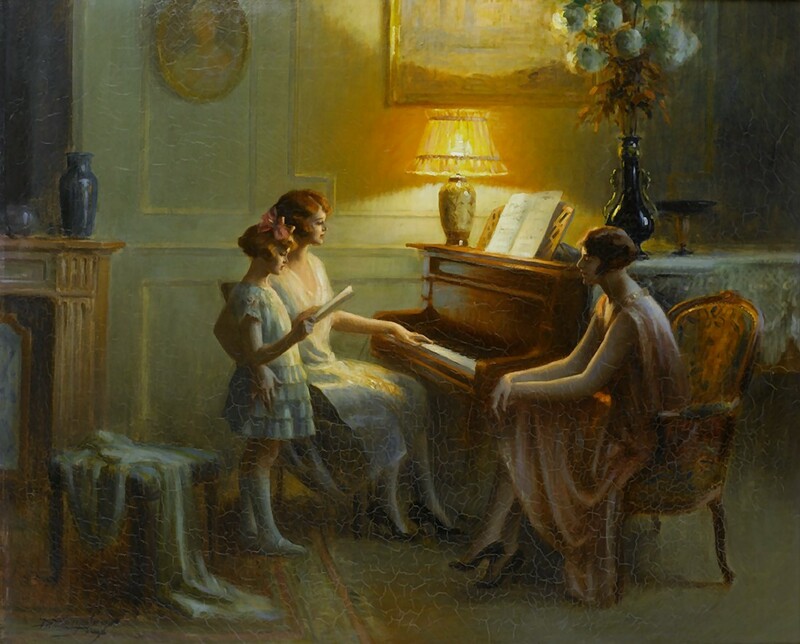 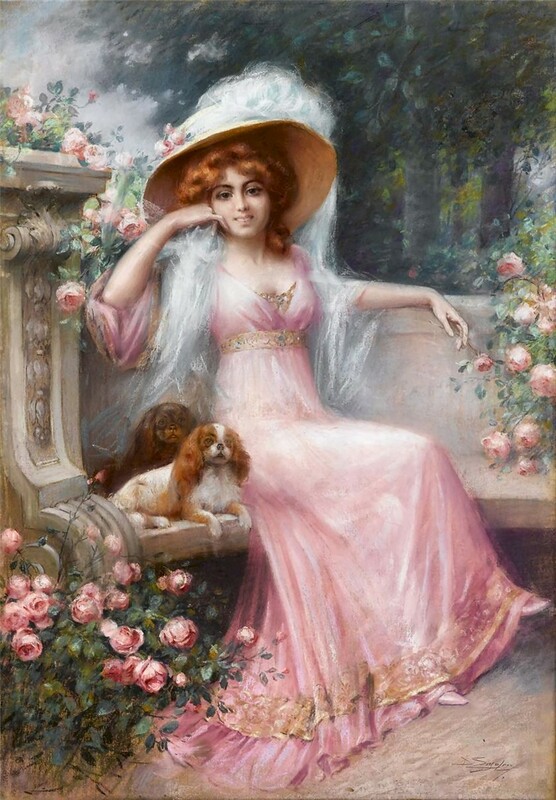 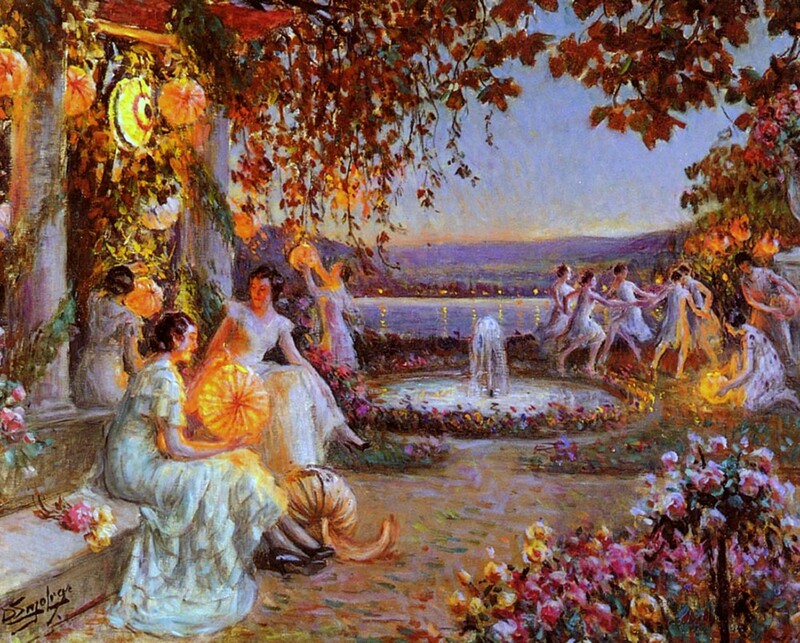 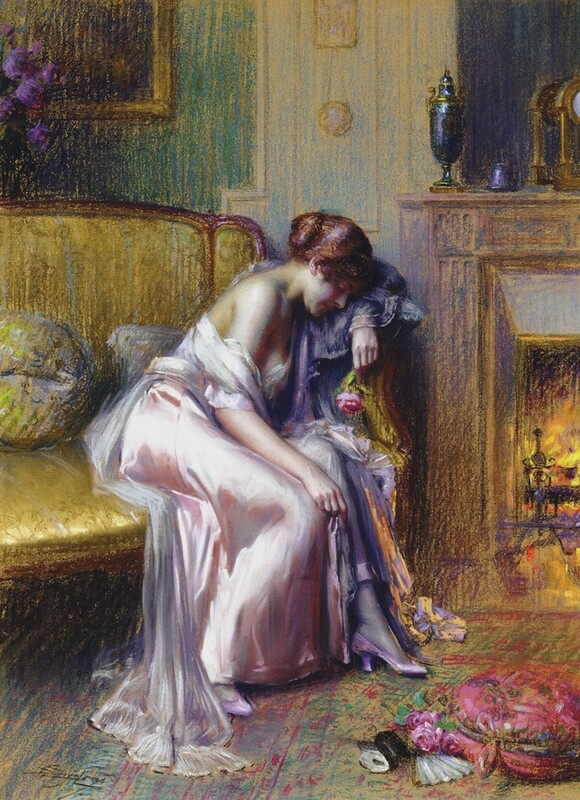 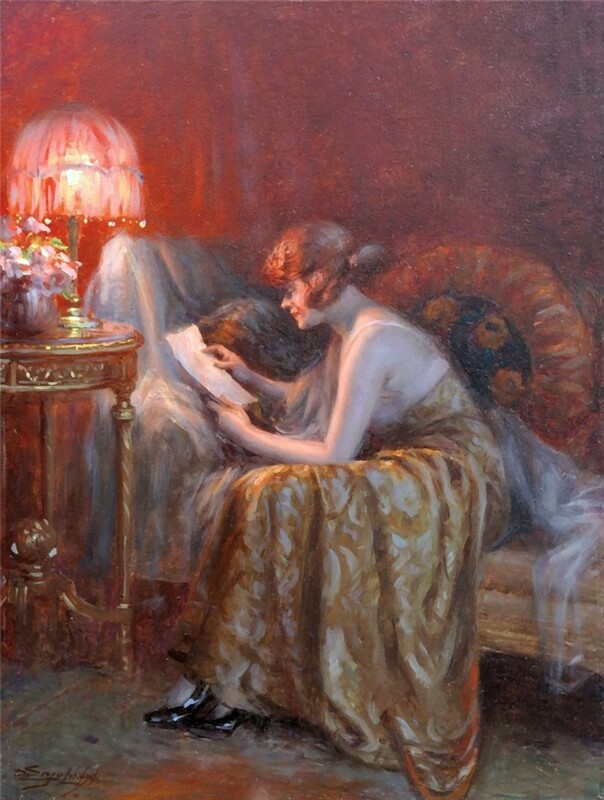 Delphin Enjolras (1857 Coucouron - 1945 Toulouse) was a French⏩ academic painter. 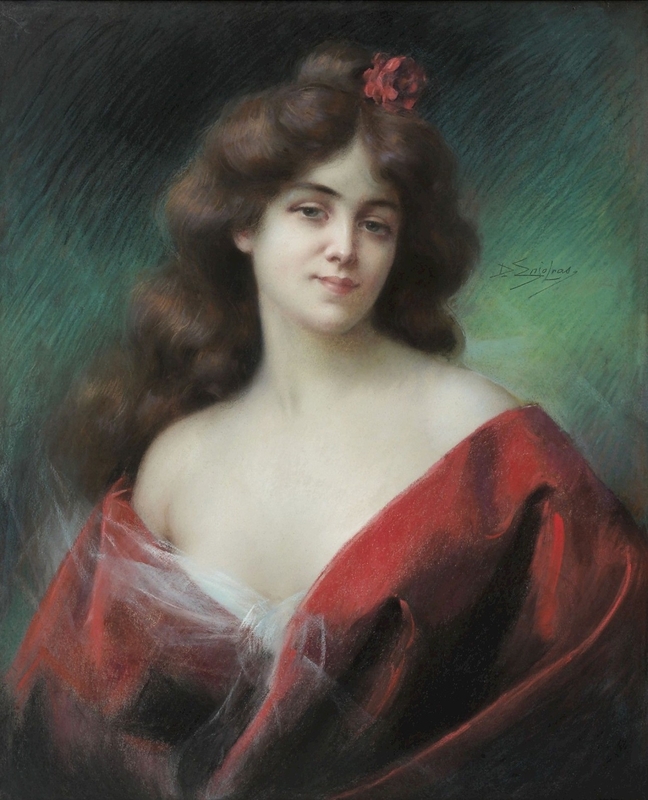 Enjolras painted portraits, figures, interiors, and used mostly watercolours, oil and pastels. 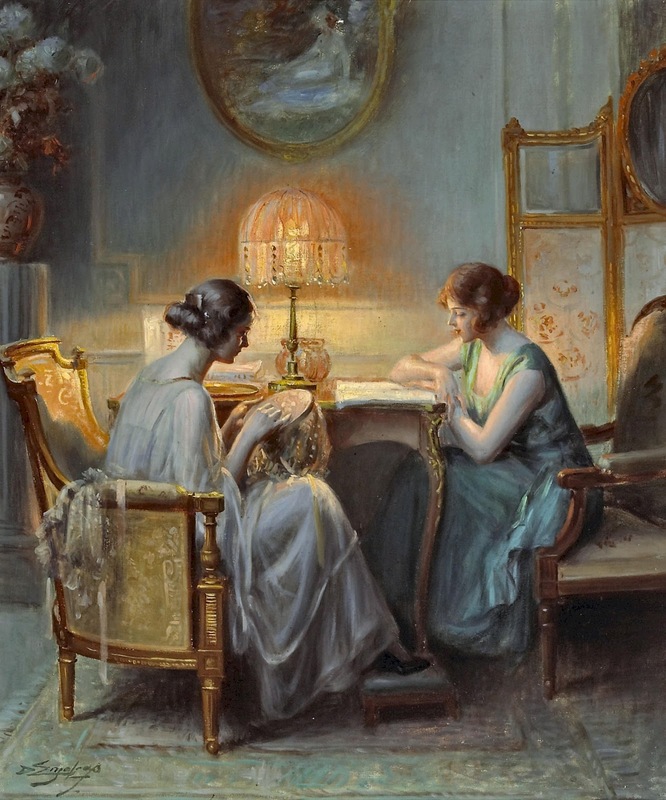 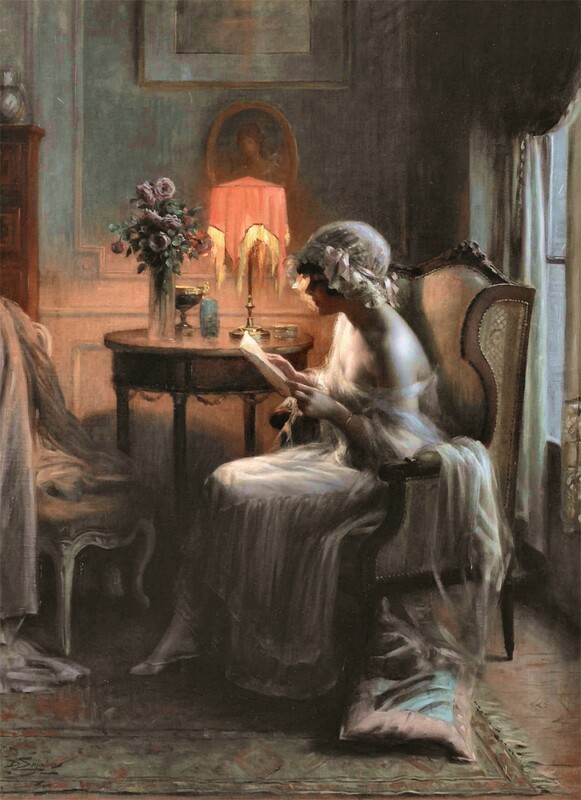 He is best known for his intimate portraits of young women performing mundane activities such as reading or sewing, often illuminated by lamplight. 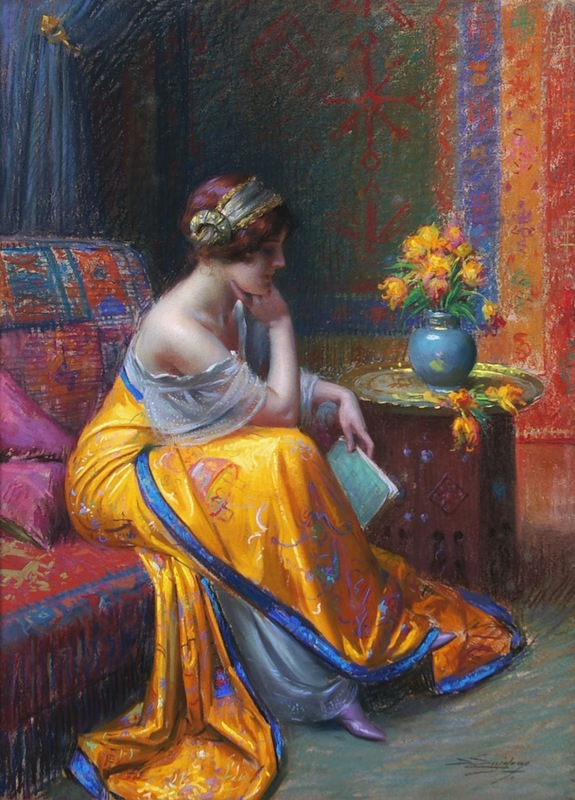 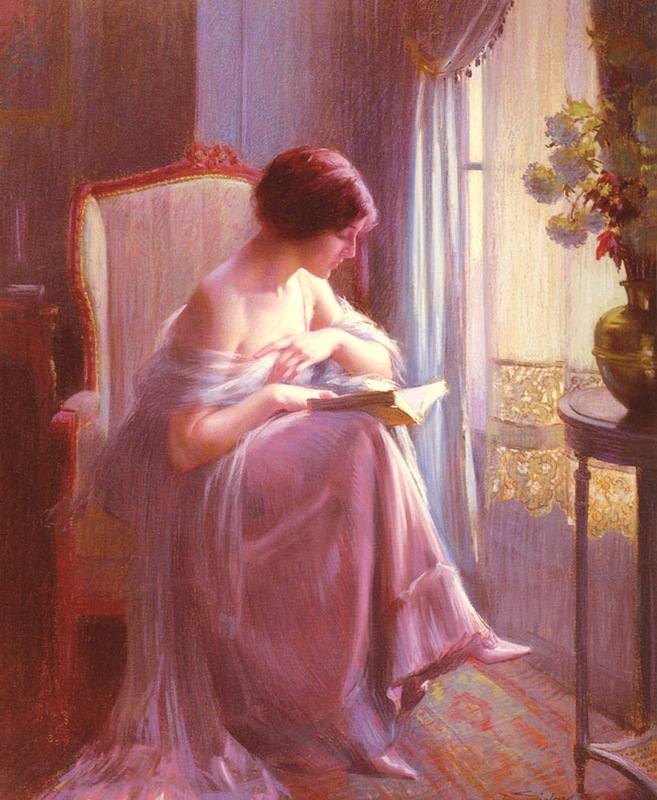 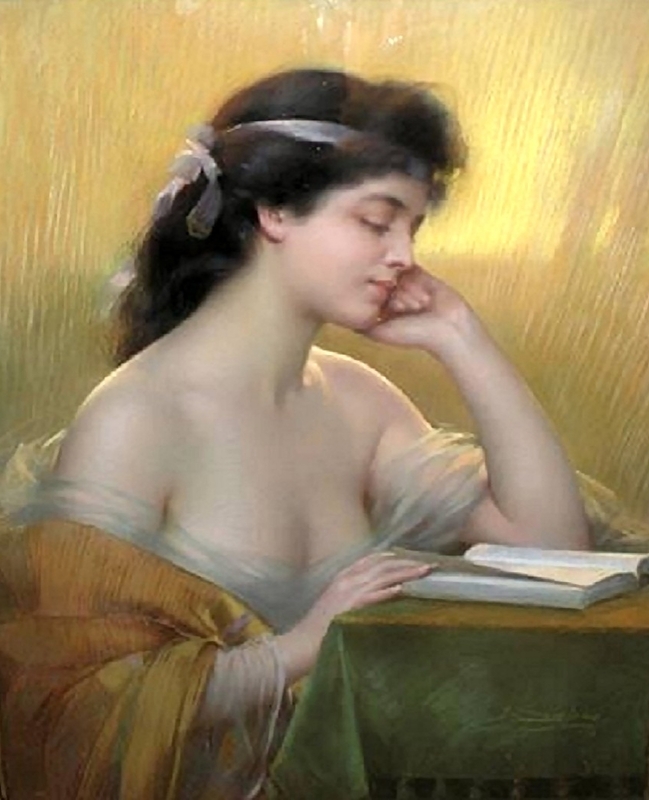 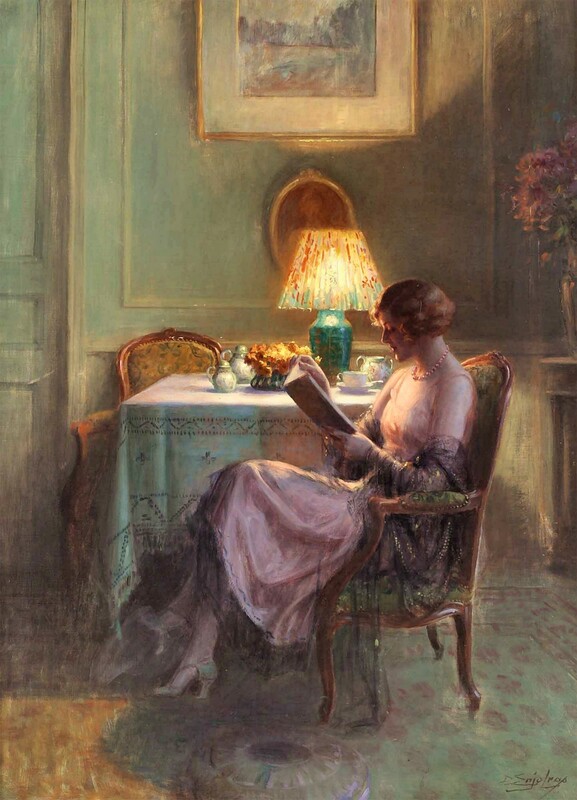 Perhaps his most famous work is the "Young Woman Reading by a Window". 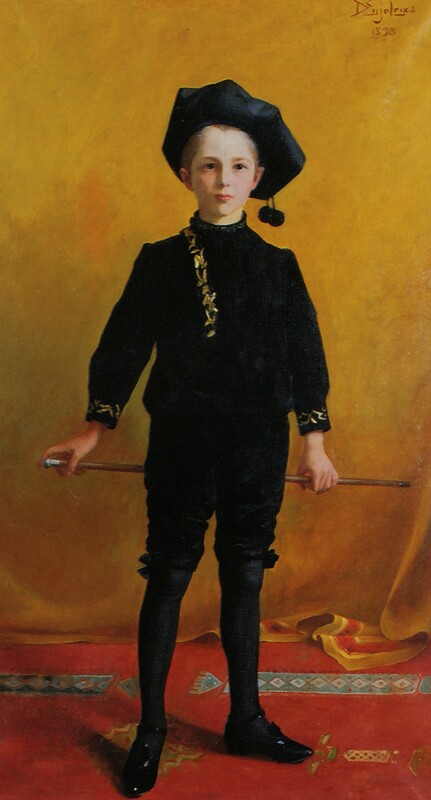 He was born in Coucouron, Ardèche, son of Casimir Enjolras and Delphine Laurens. Enjolras studied under watercolorist Gaston Gérard at the "Ecole de Dessin de la Ville de Paris", as well as Jean-Léon Gérôme⏩ at the Beaux-Arts, and Pascal Dagnan-Bouveret⏩. 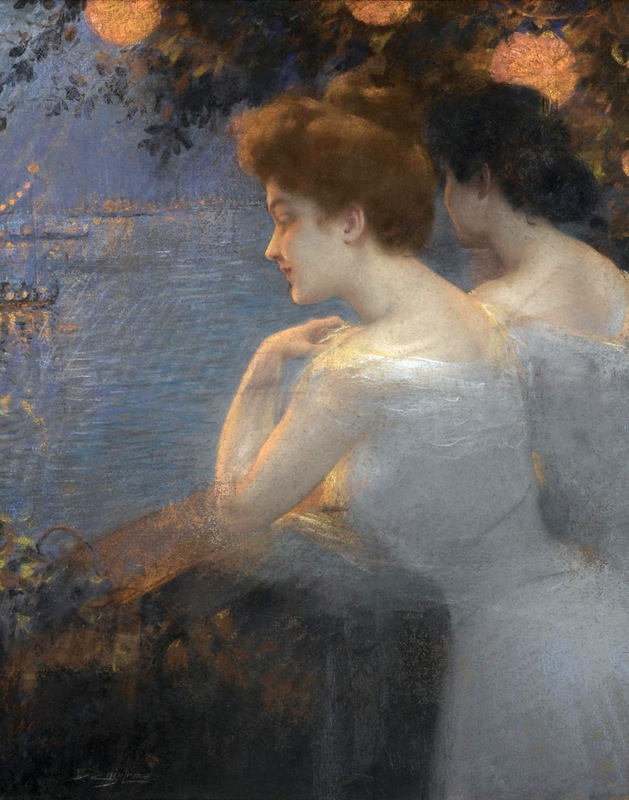 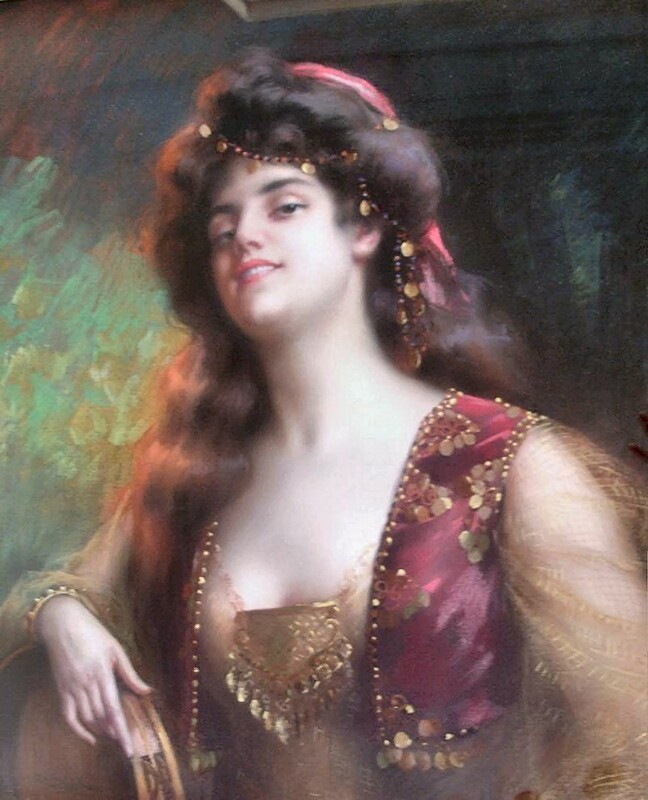 Enjolras painted mainly landscapes in his early career; later it became evident that his love was for painting women.